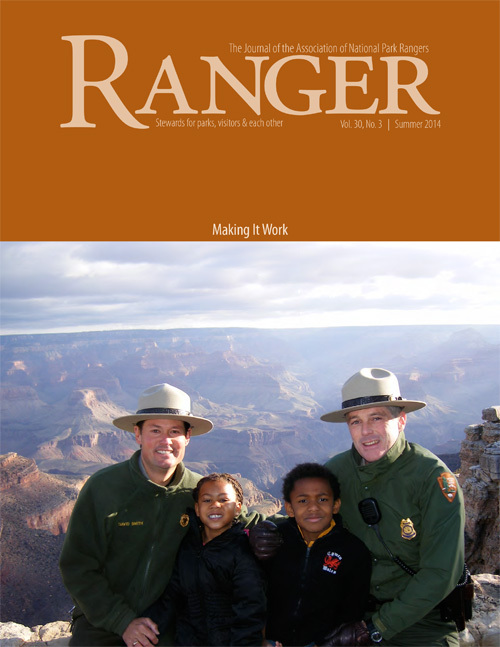 Ever since its inception in 1977, a high priority of the Association of National Park Rangers (ANPR) has been to foster improved communications within the ranks of both rangers and the employees of the National Park Service in general. 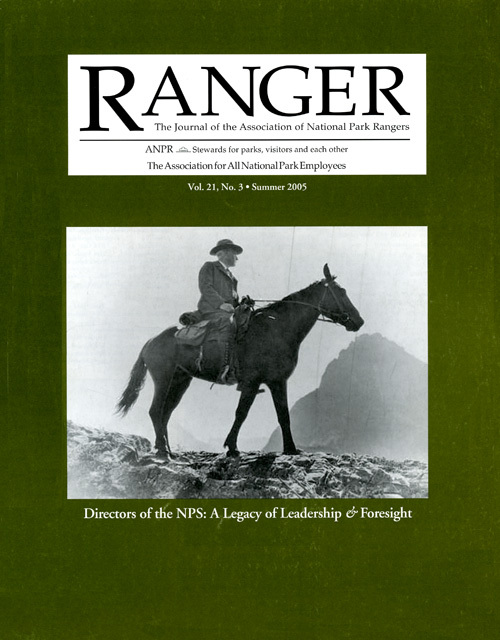 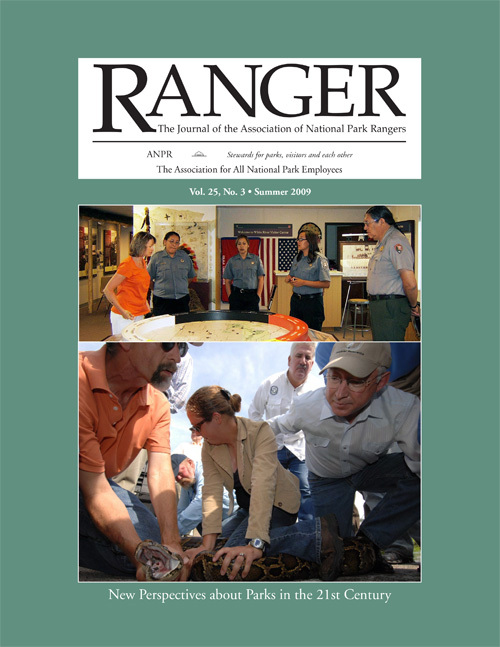 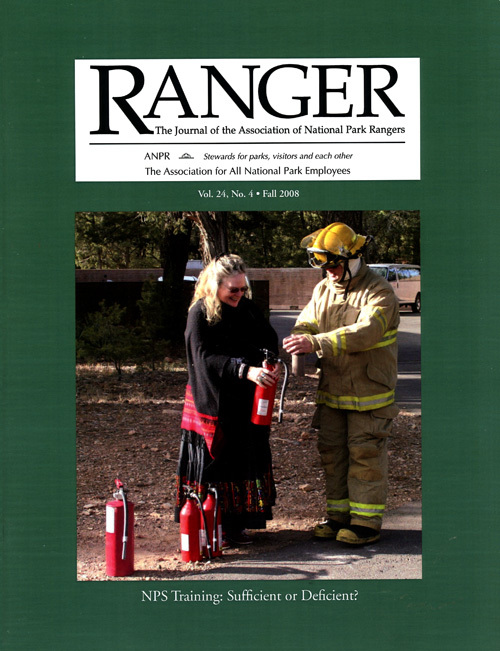 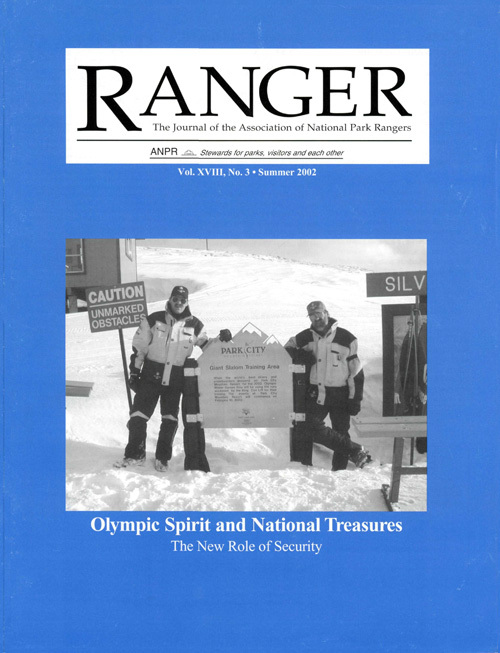 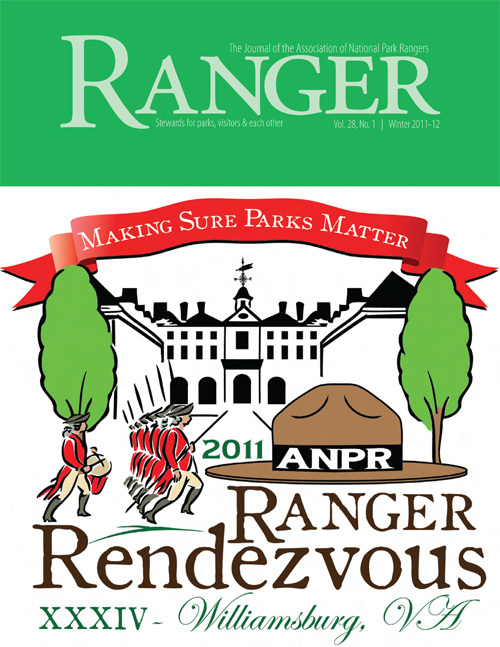 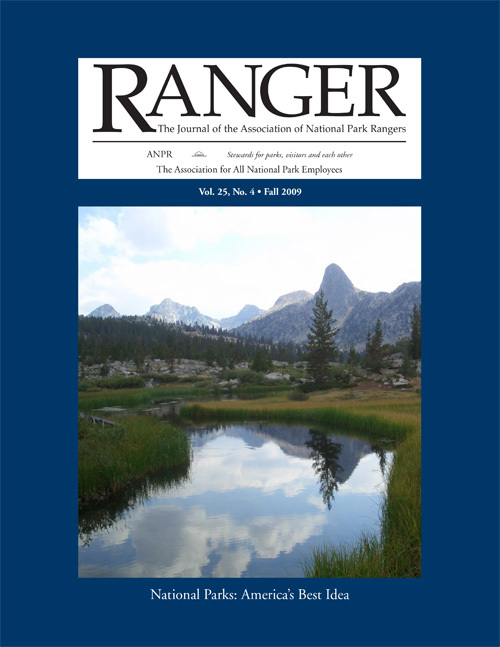 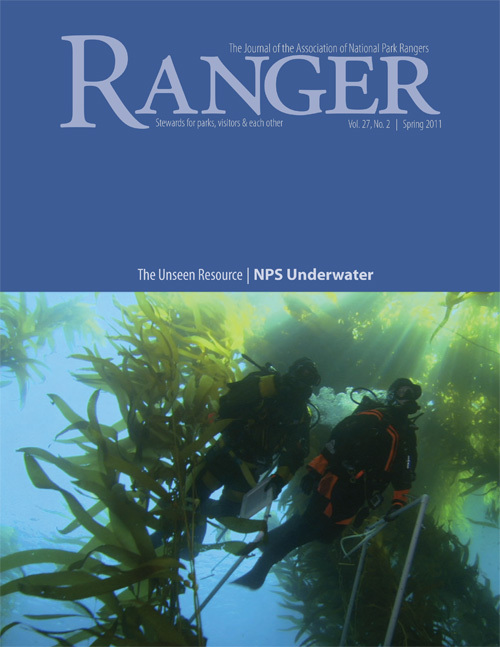 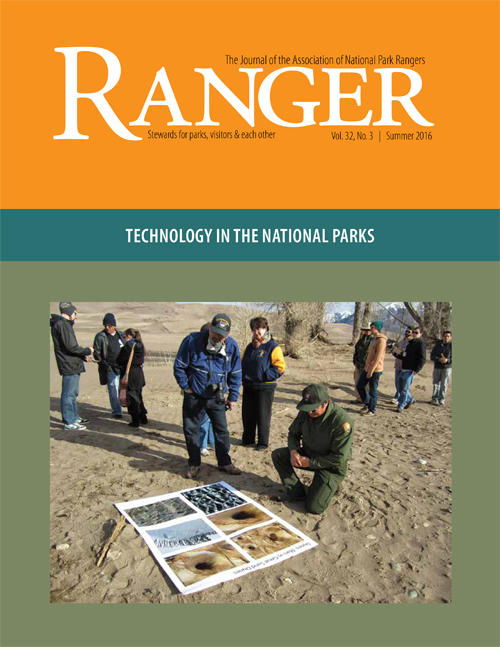 That objective is made clear in its original statement of purpose: "ANPR shall be an organization to communicate for, about, and with park rangers; to promote and enhance the park ranger profession and its spirit; to support management and the perpetuation of the National Park Service; and to provide a forum for social enrichment." 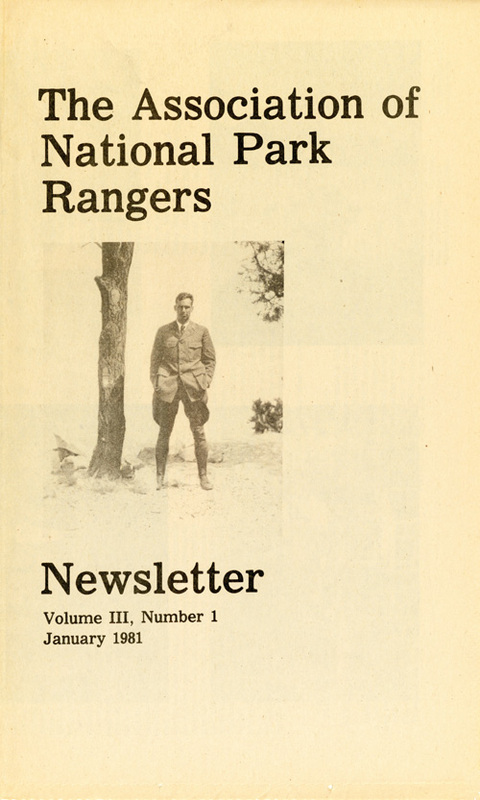 Although the Service had other in house publications at the time, none of them dealt specifically with operational, professional, personnel and other issues of interest to rangers. 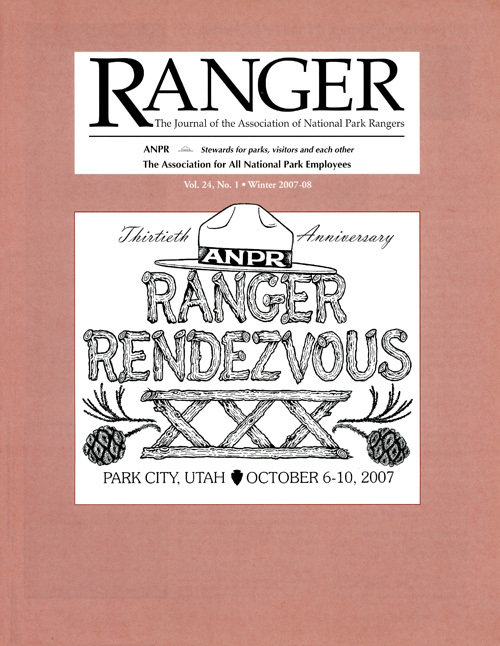 The Association therefore launched a newsletter on such matters  plus ANPR business  that first came out twice a year, then three times a year. 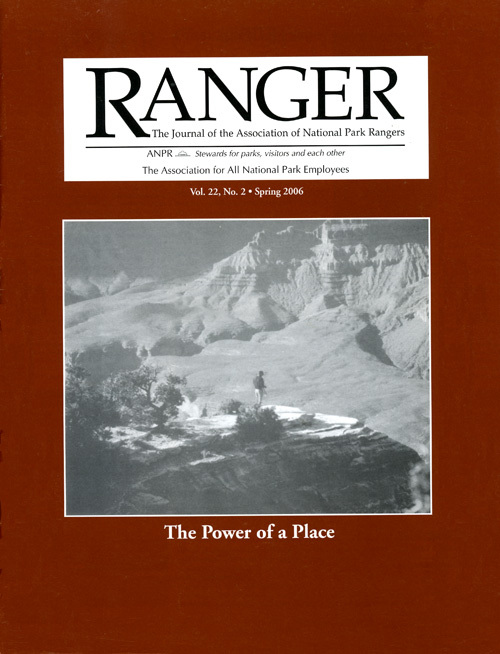 Edited by the late Rick Gale and produced by T.J. Priehs, it proved to be highly popular, clearly filling a broadly felt need. 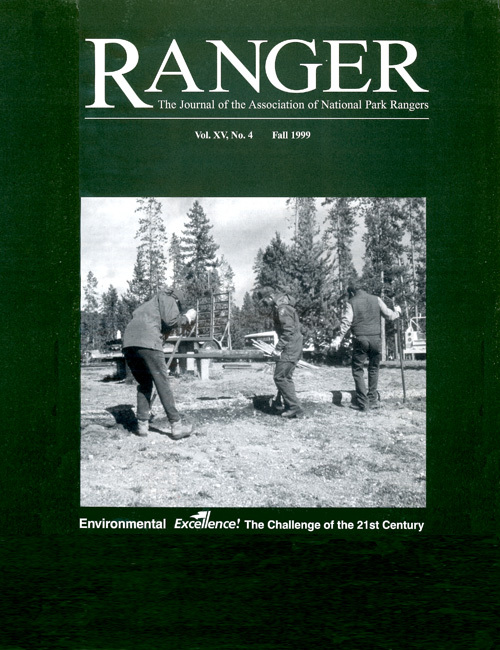 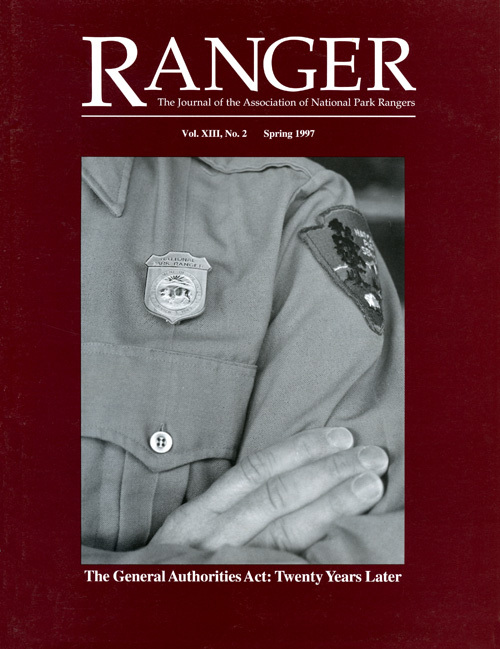 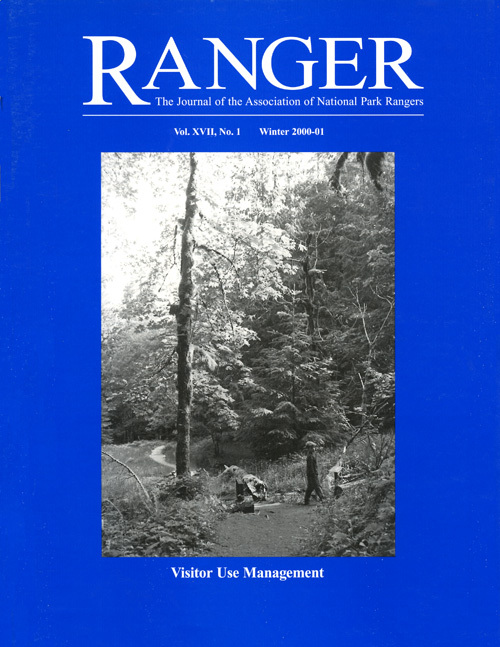 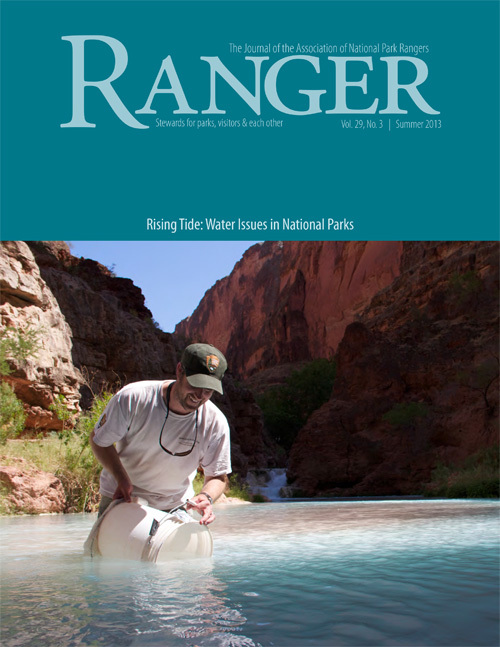 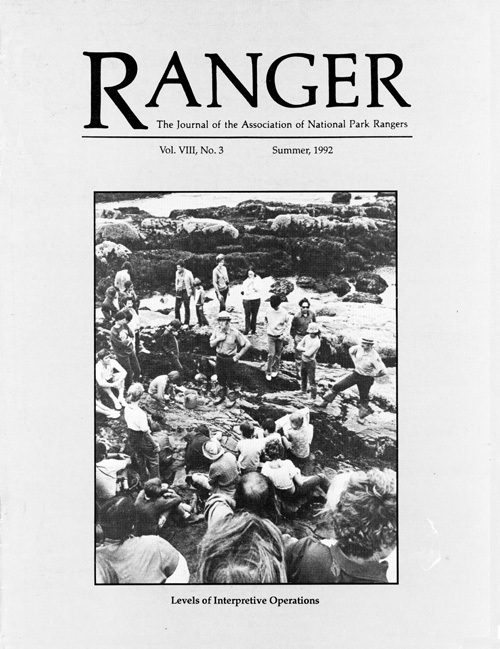 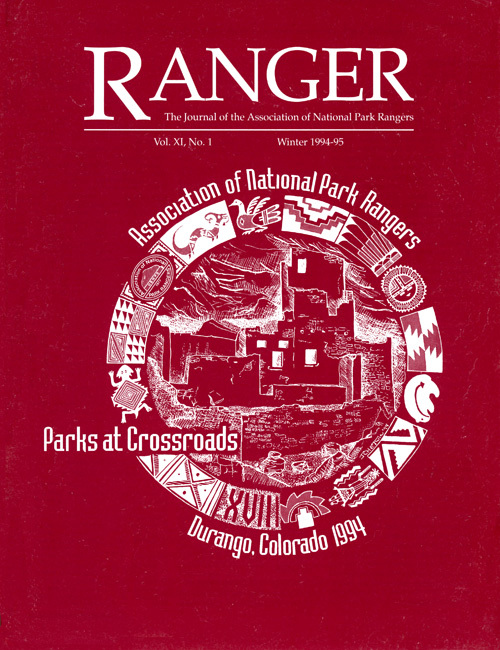 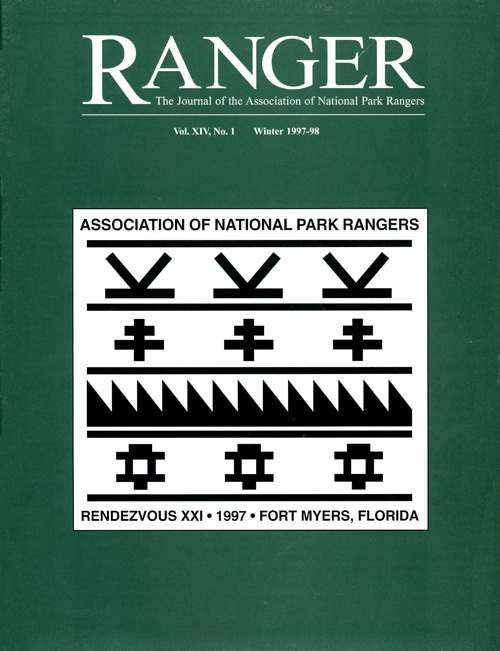 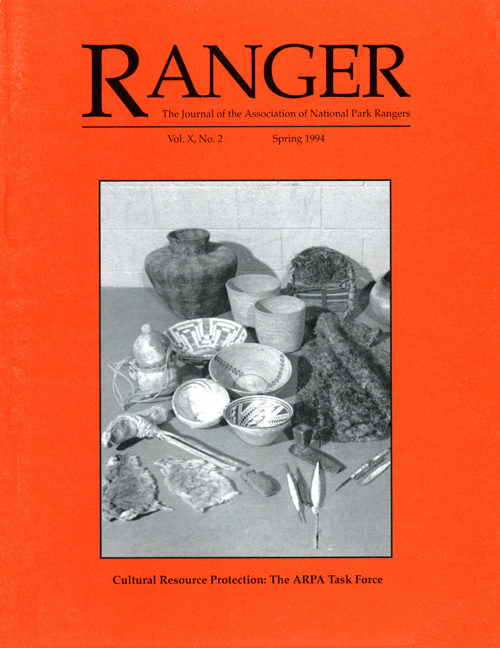 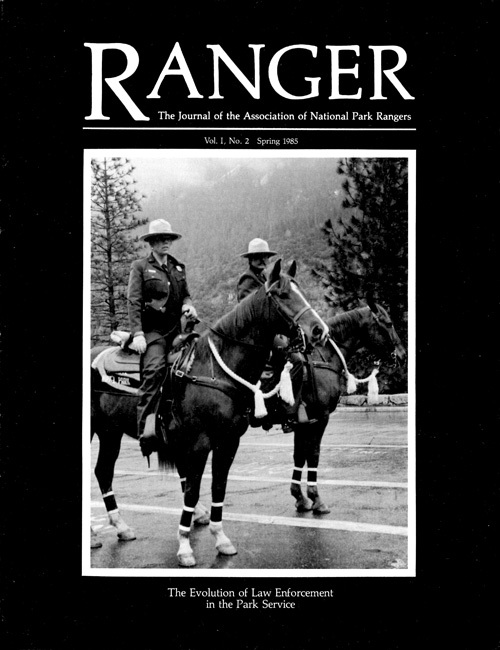 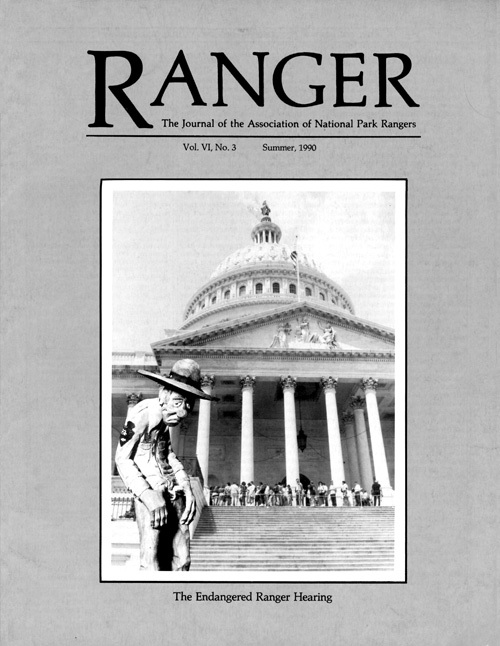 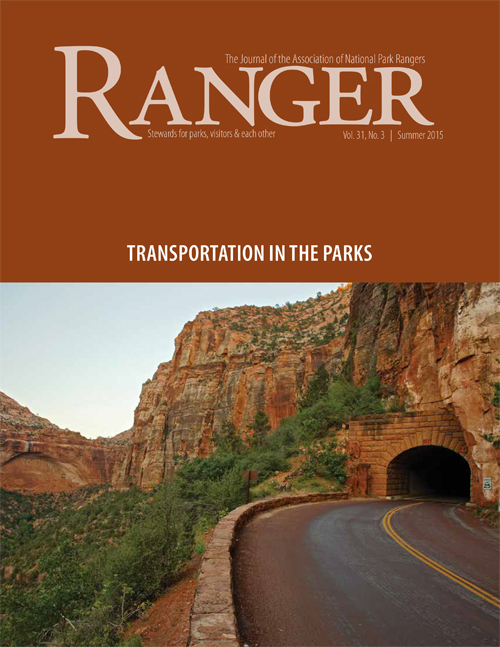 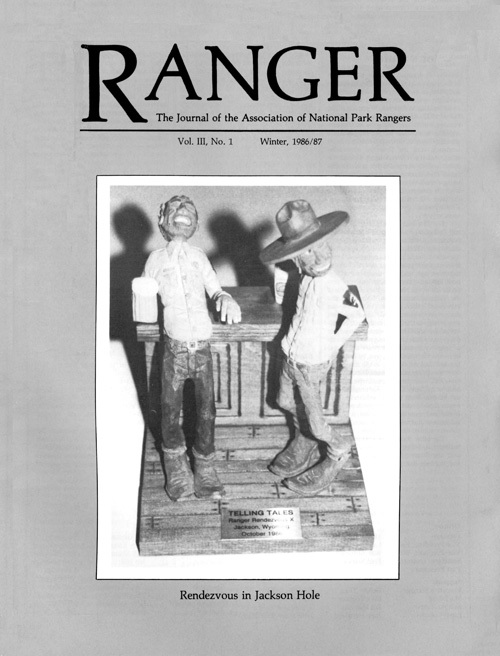 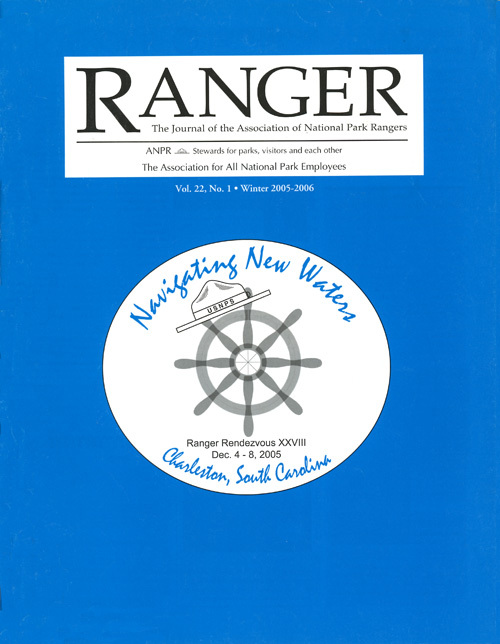 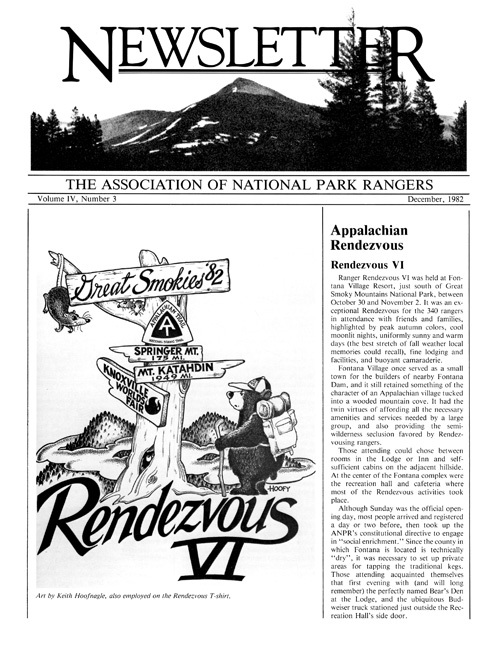 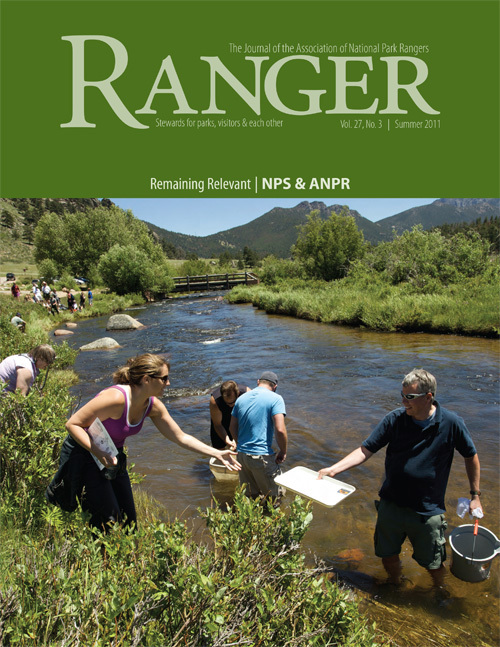 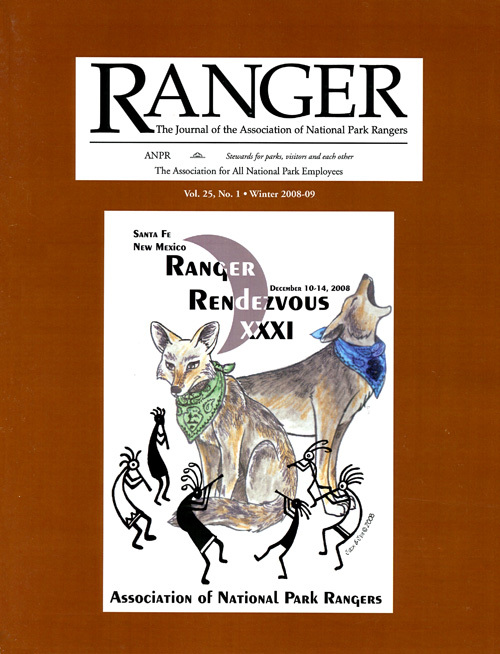 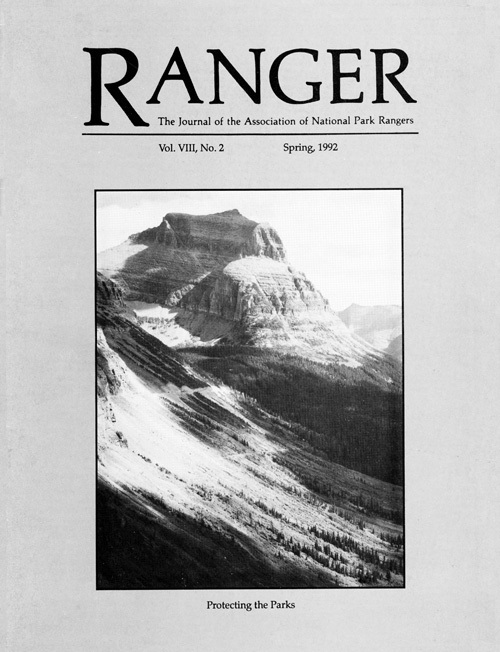 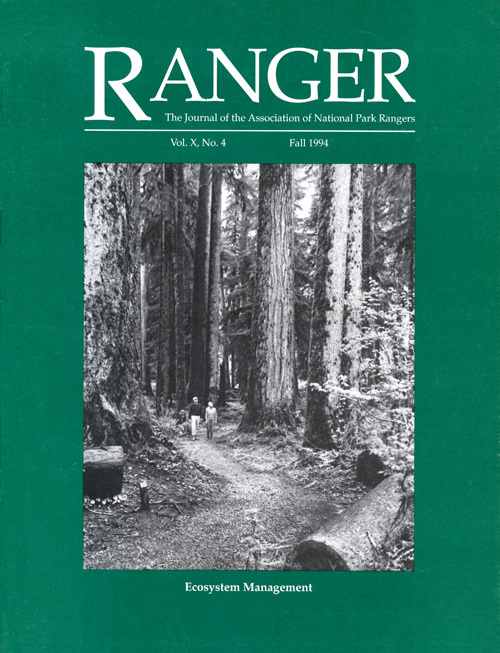 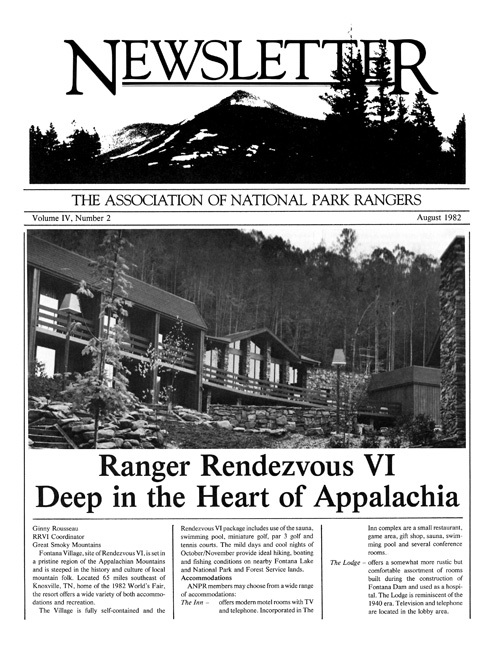 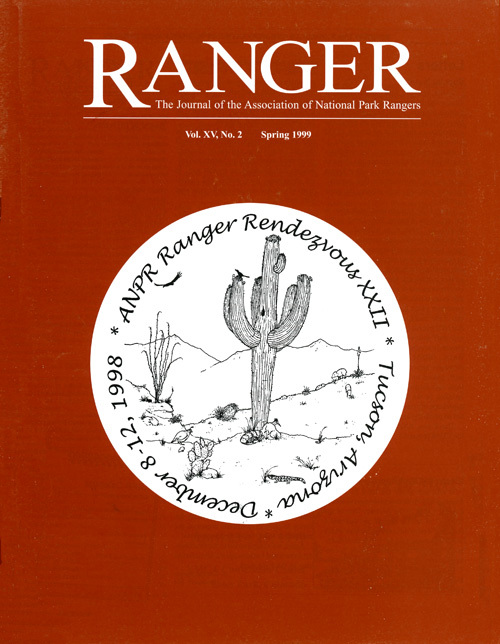 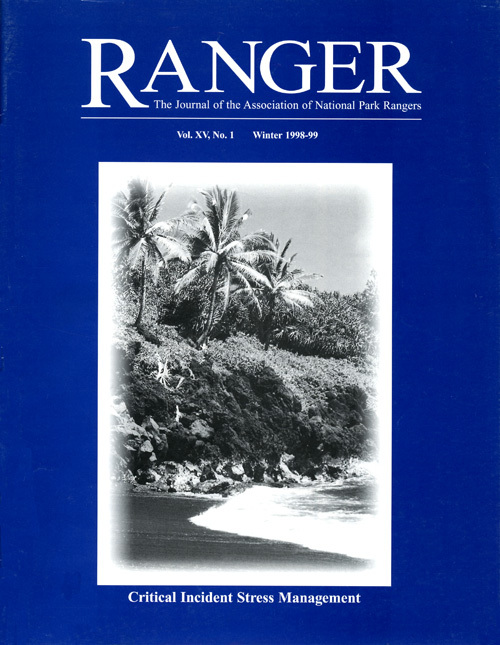 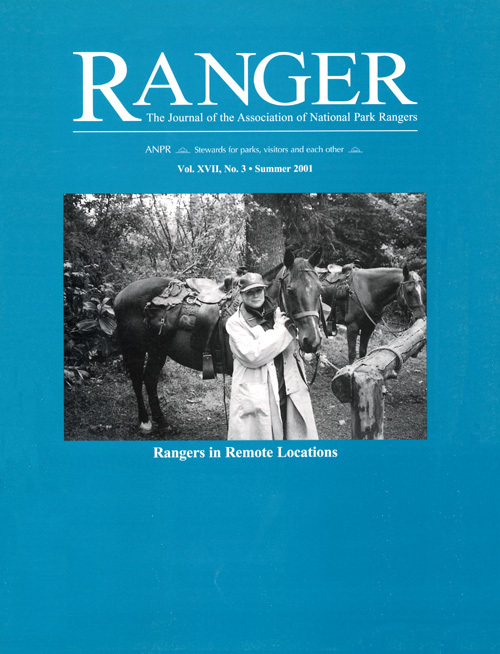 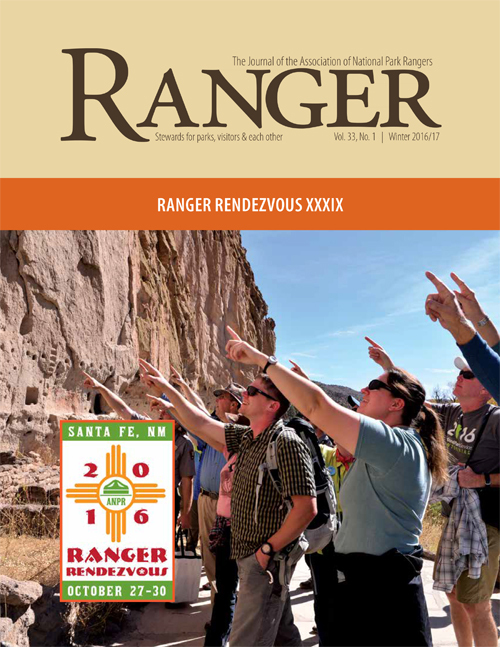 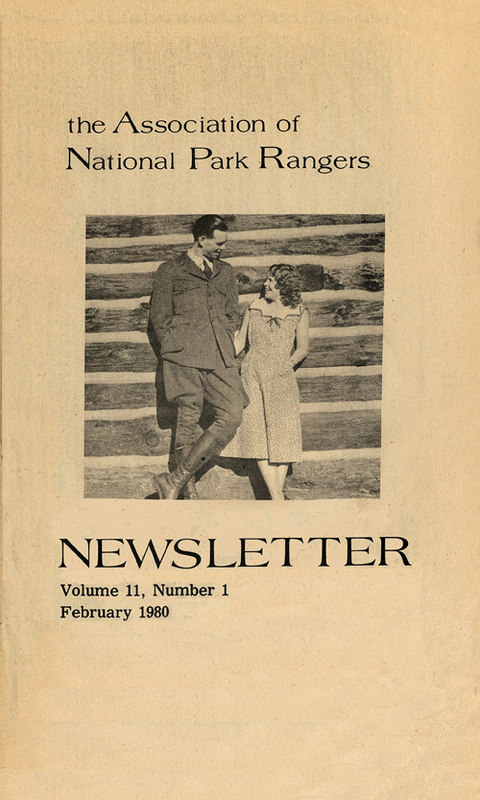 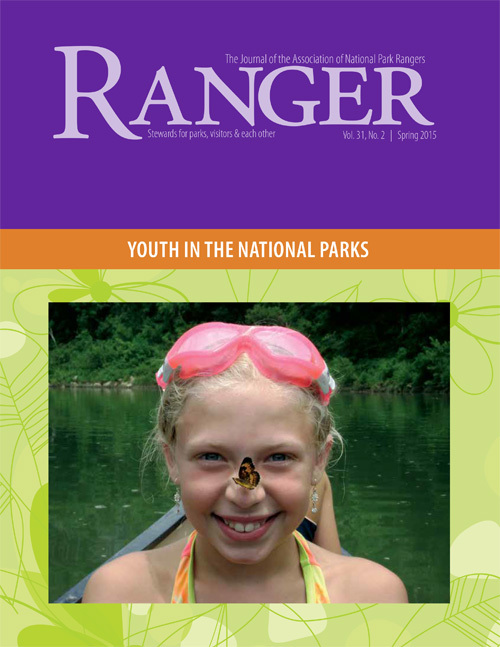 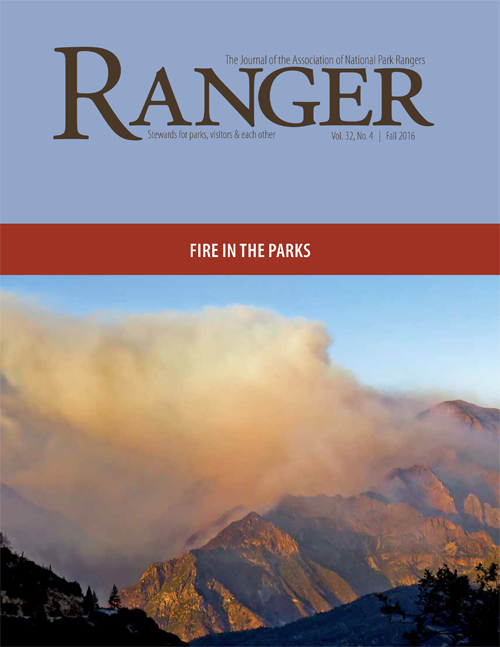 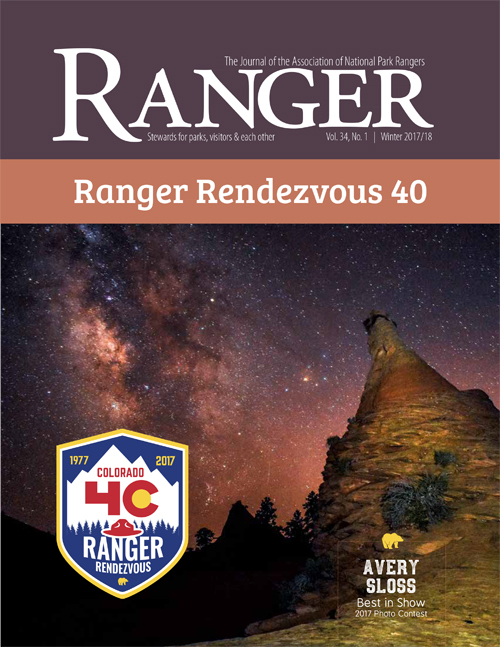 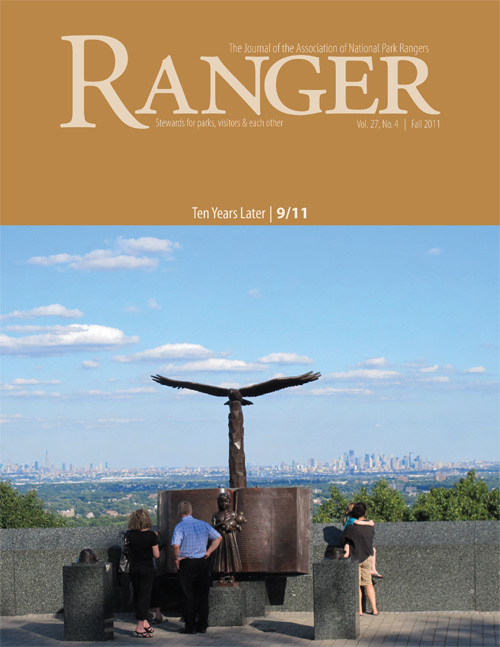 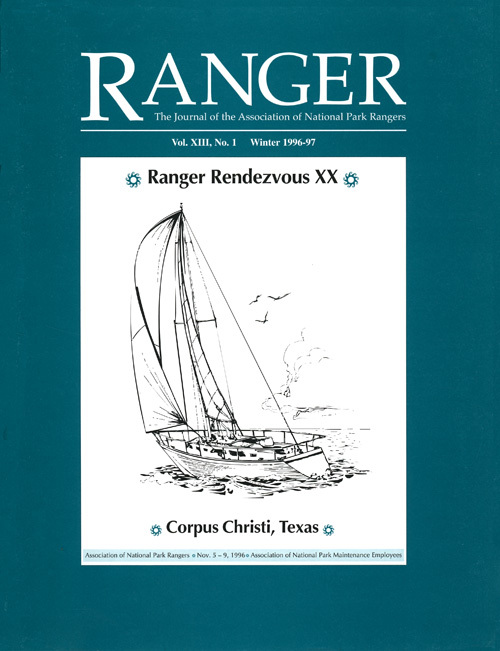 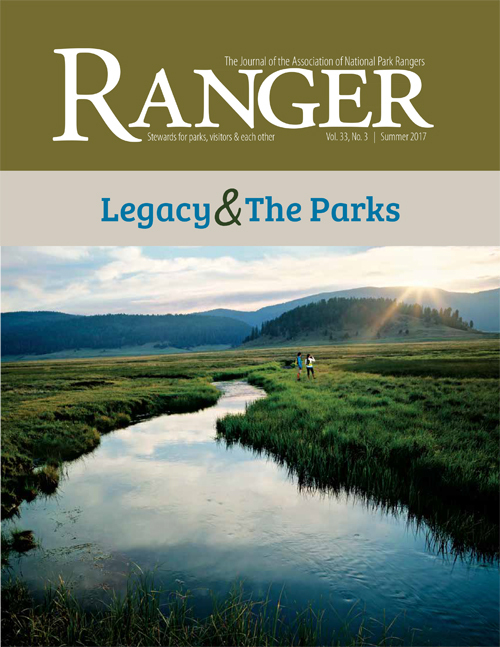 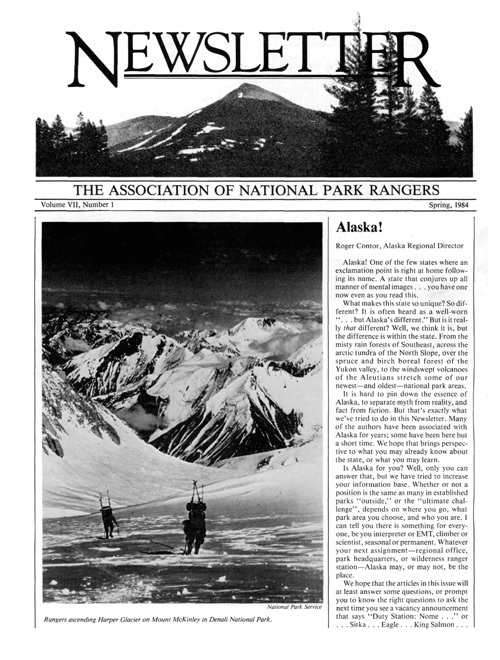 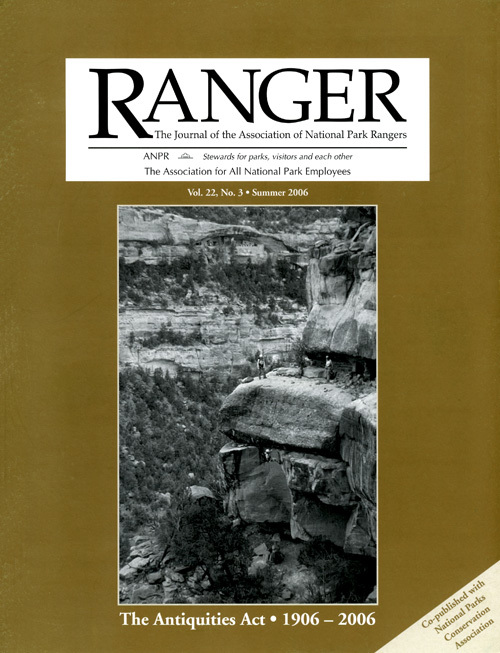 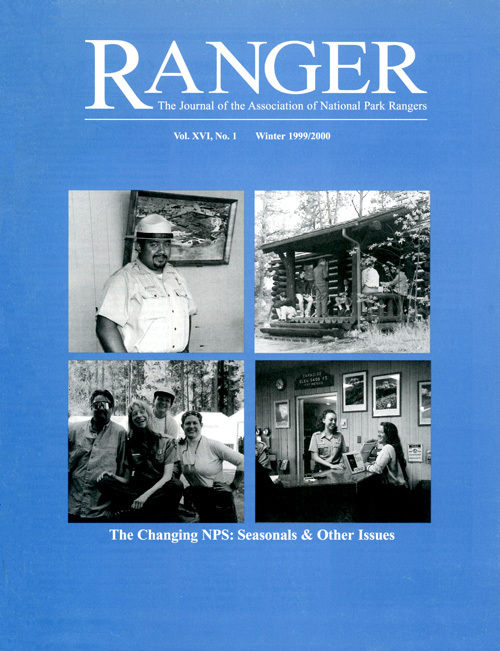 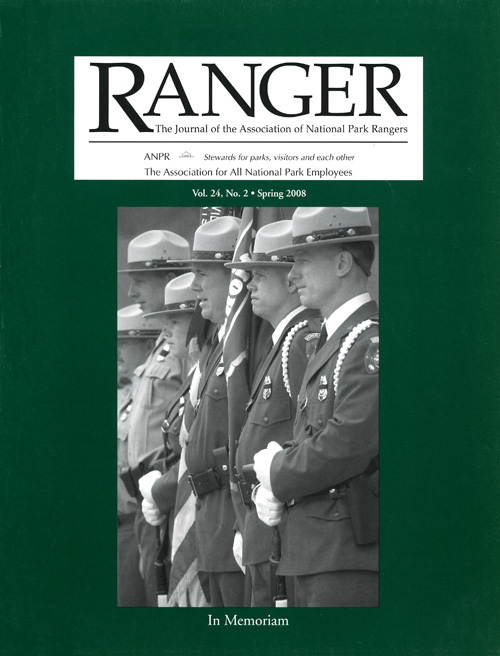 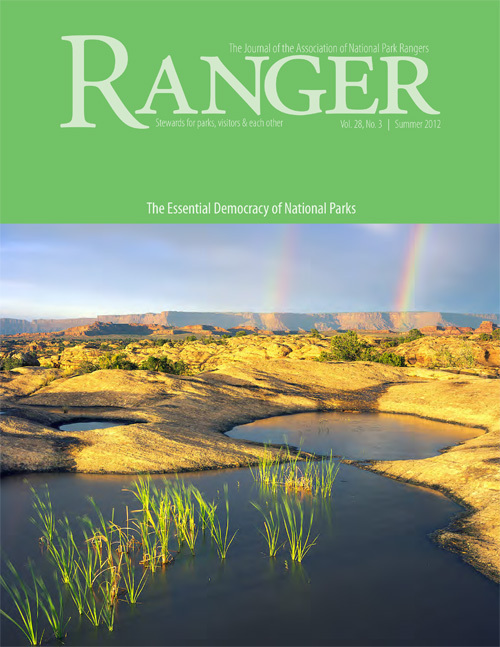 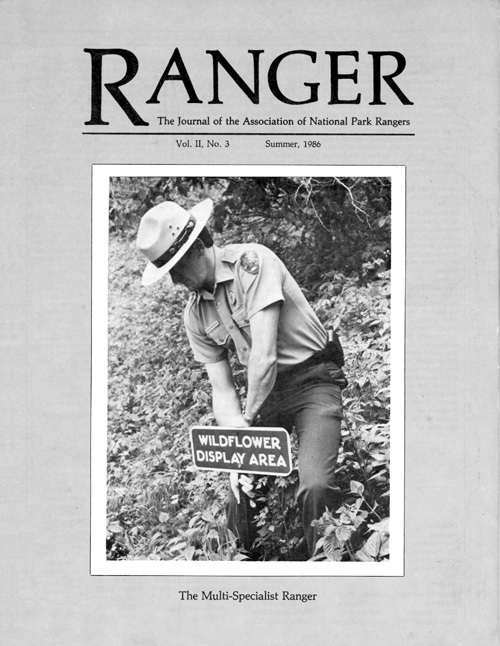 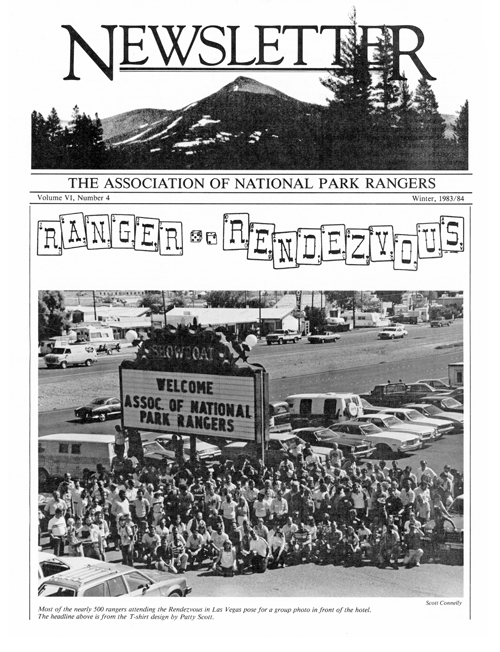 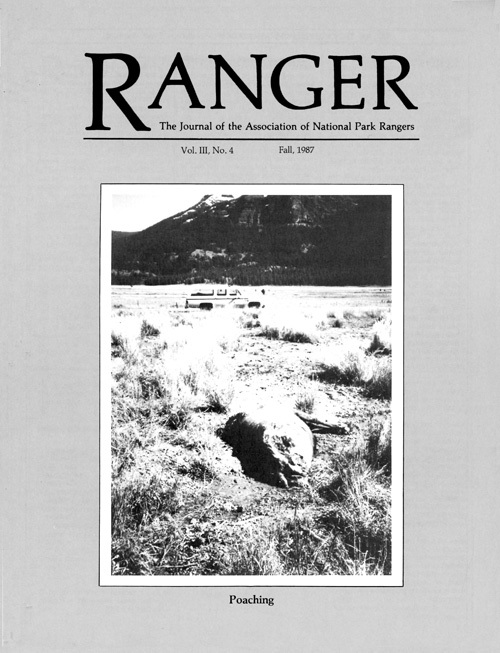 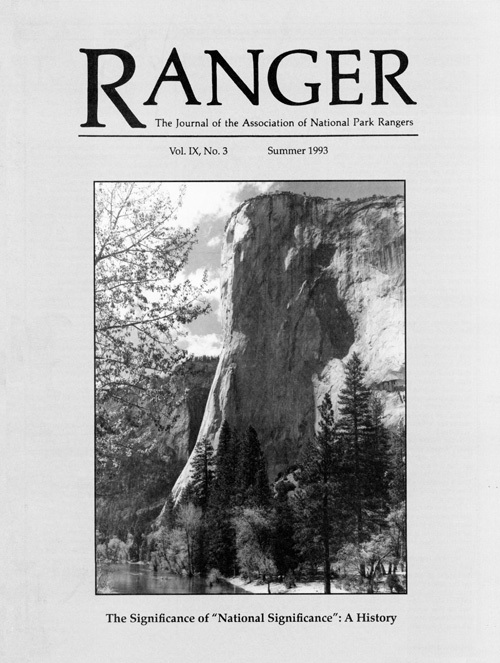 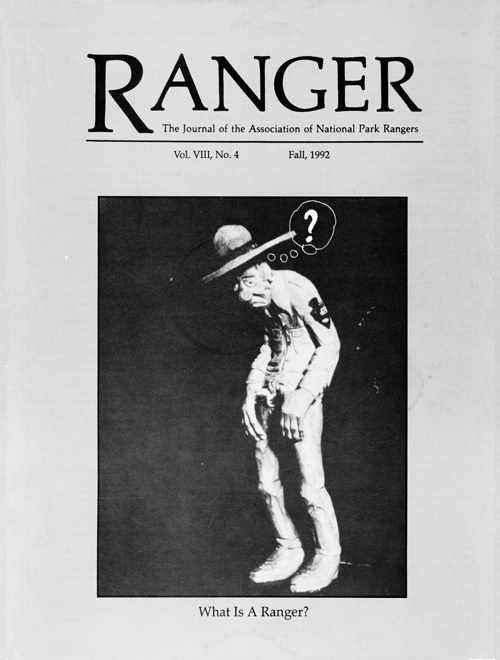 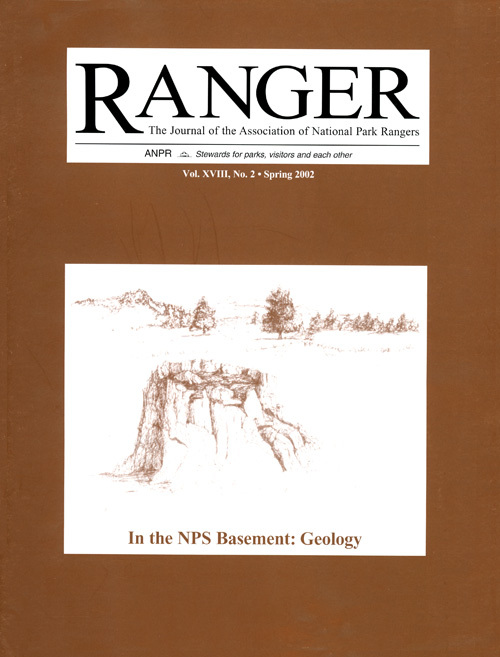 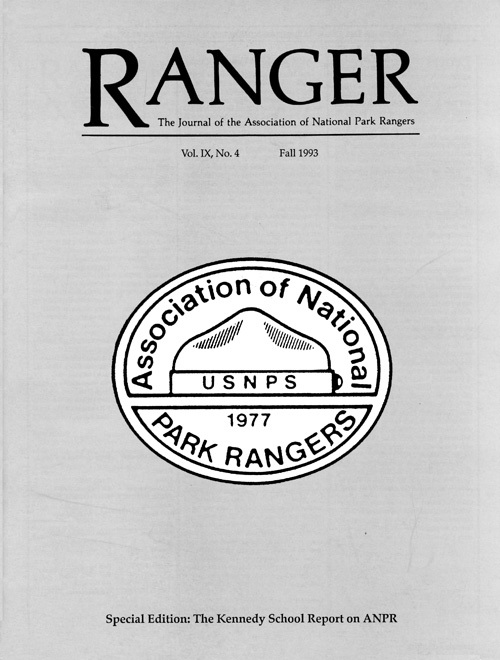 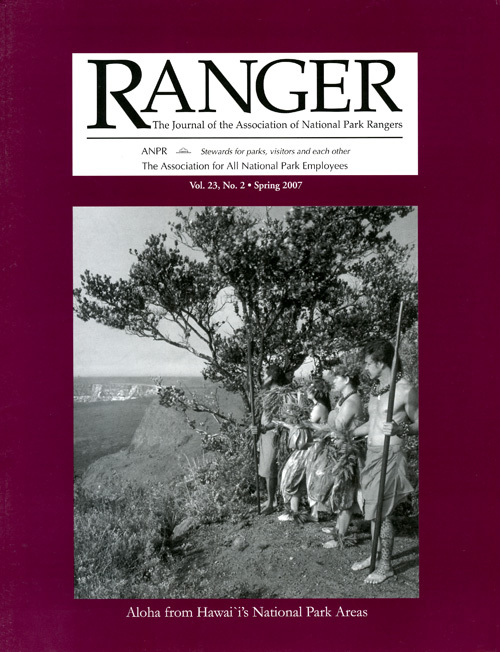 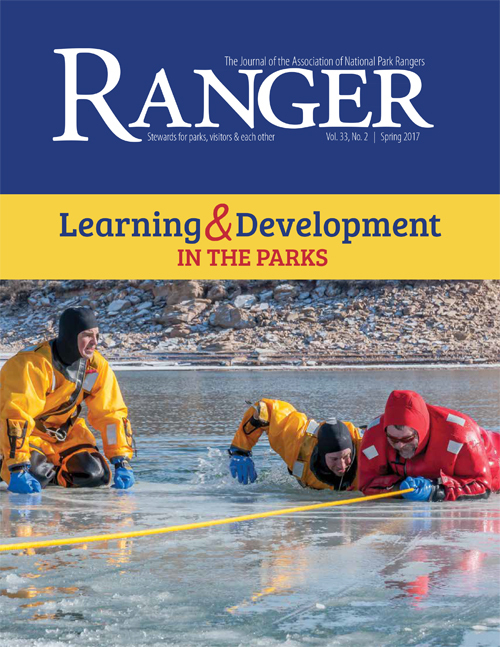 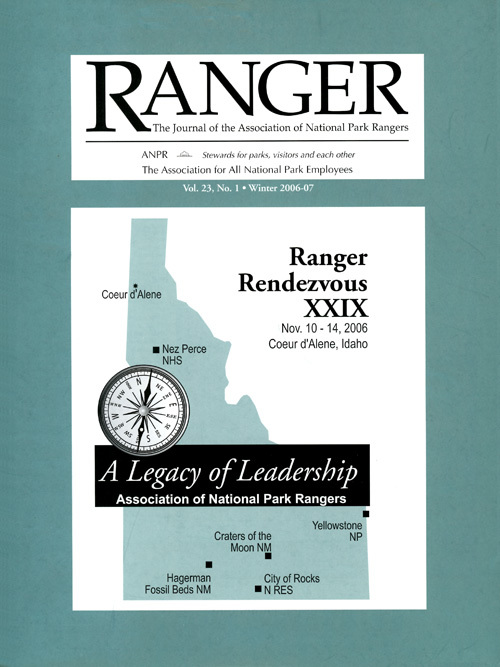 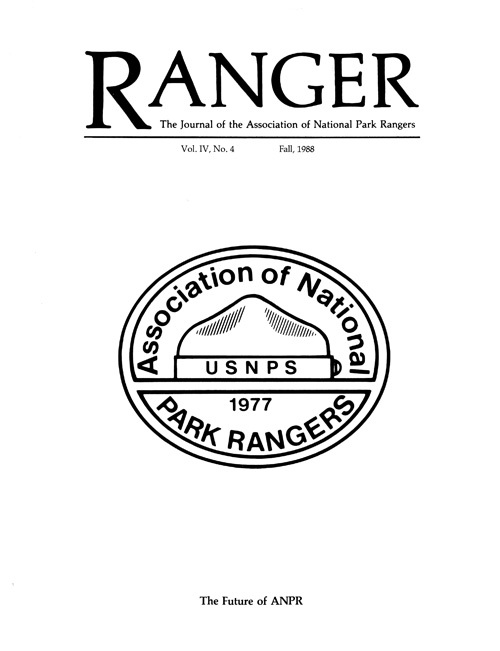 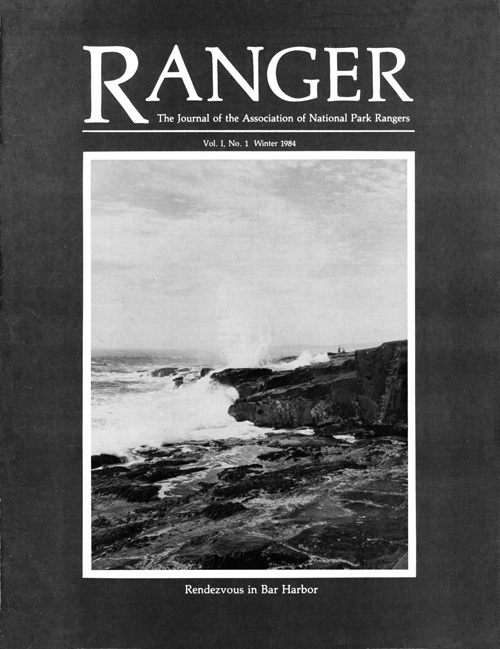 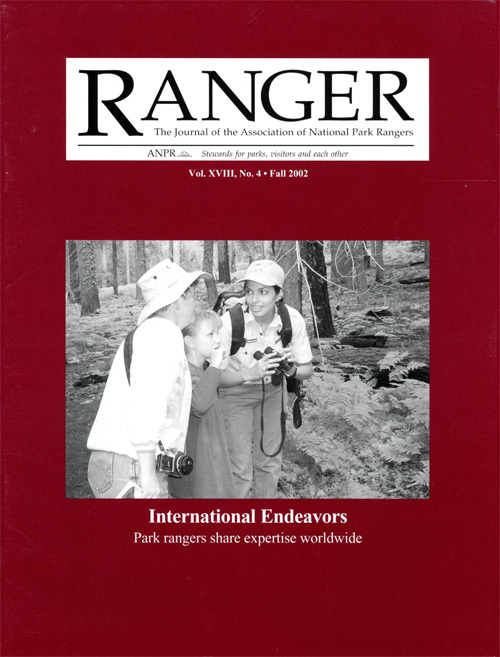 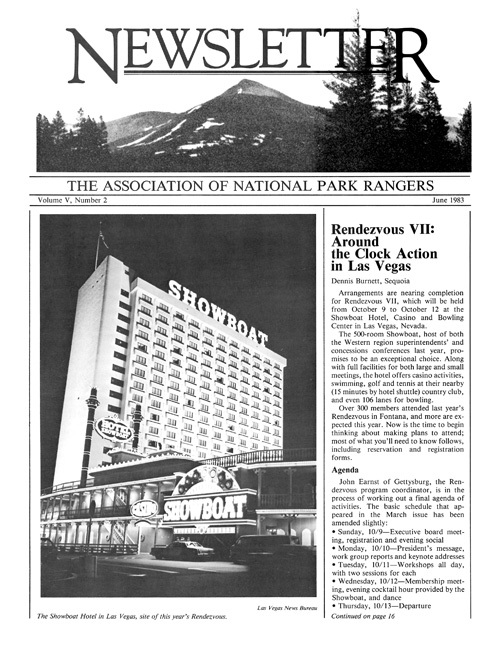 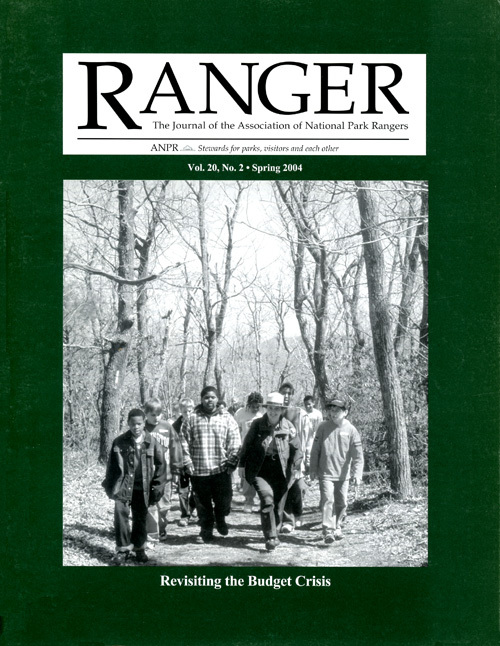 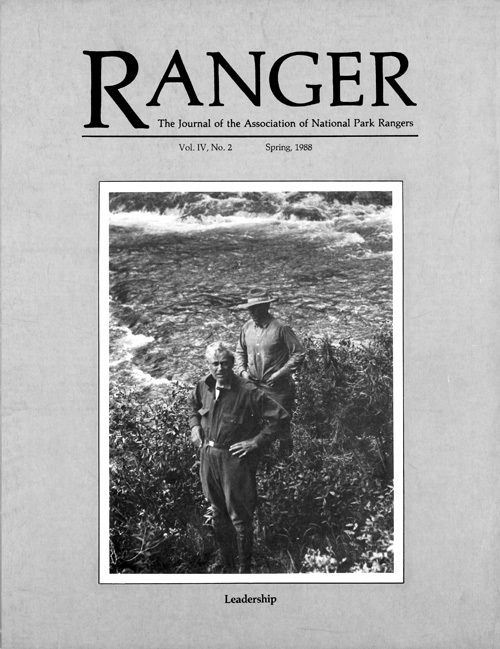 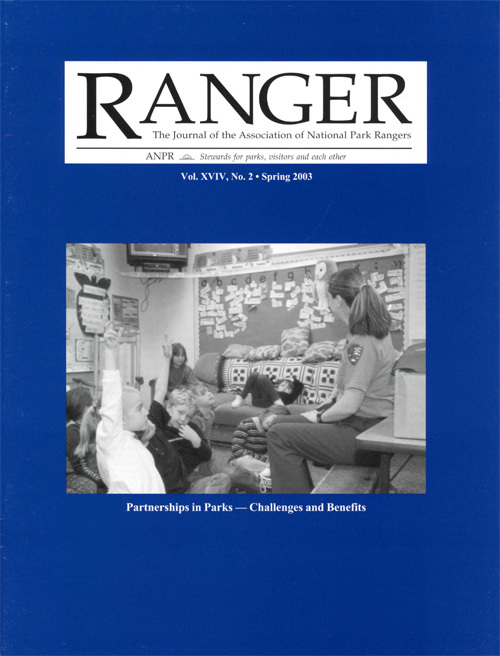 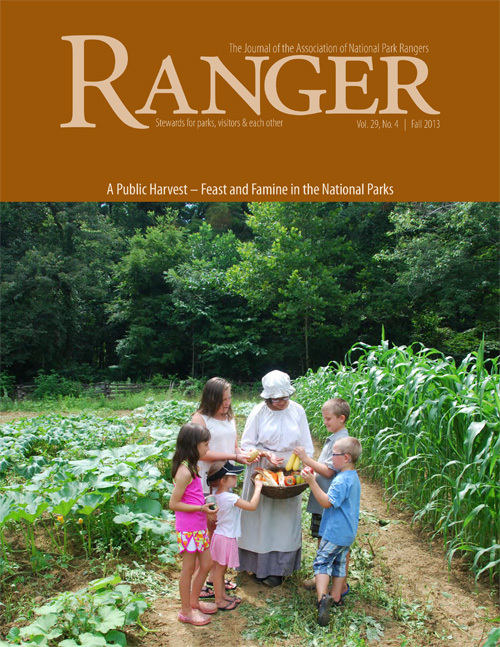 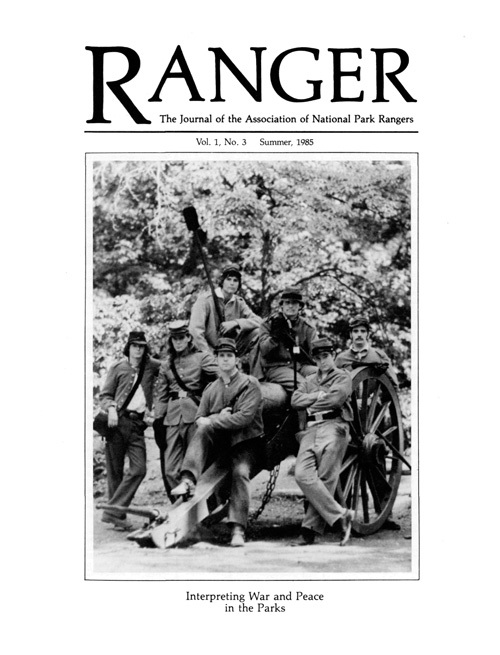 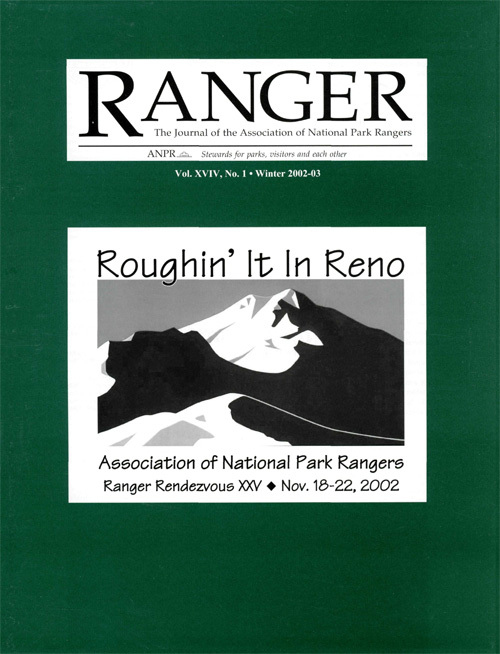 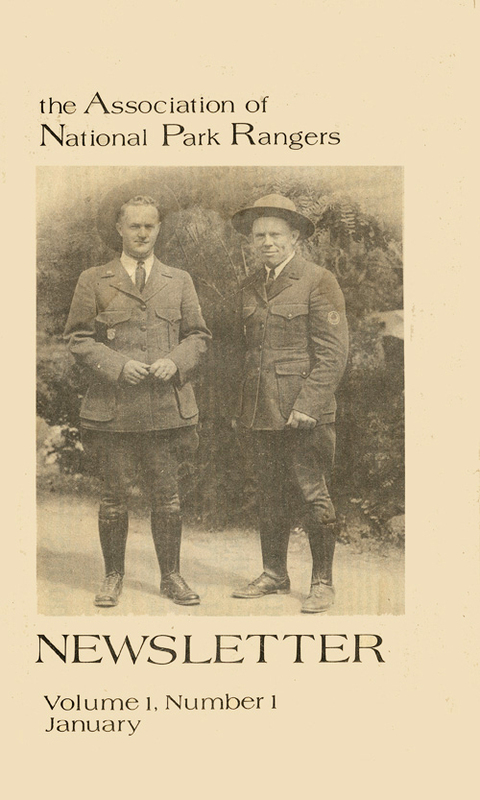 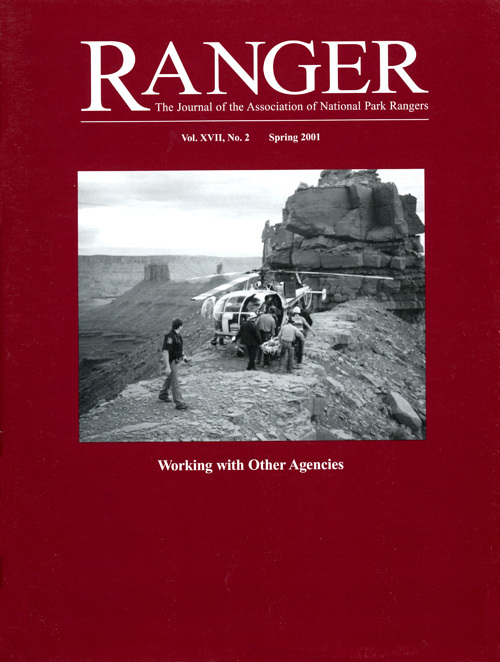 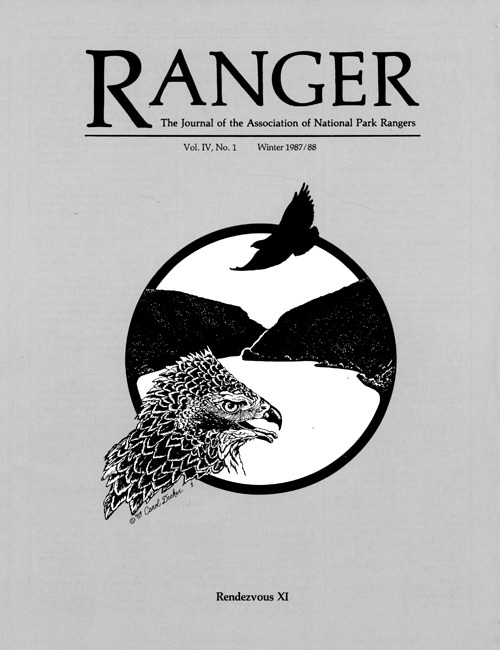 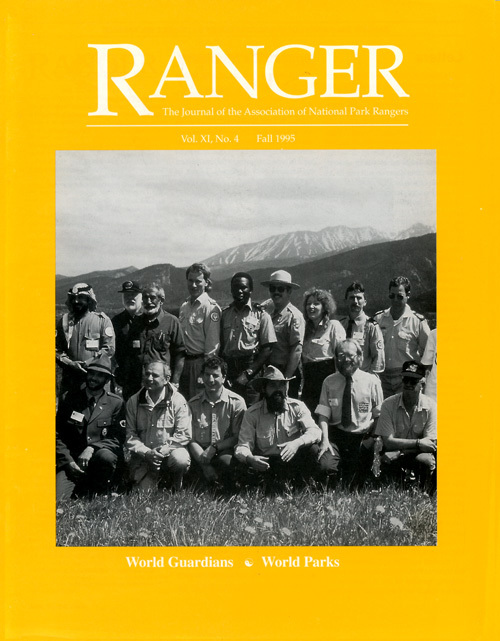 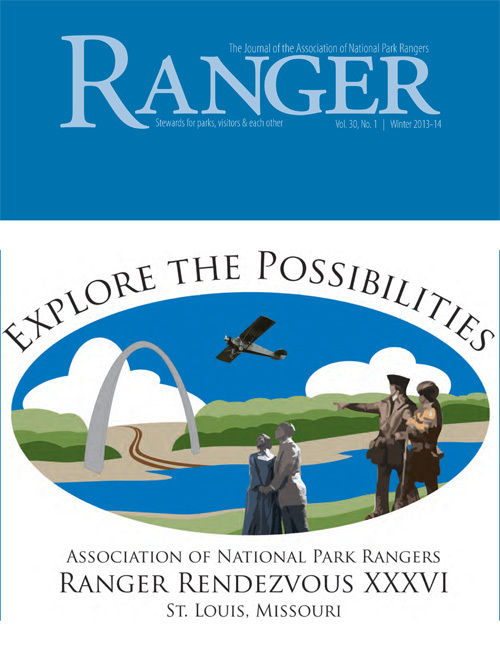 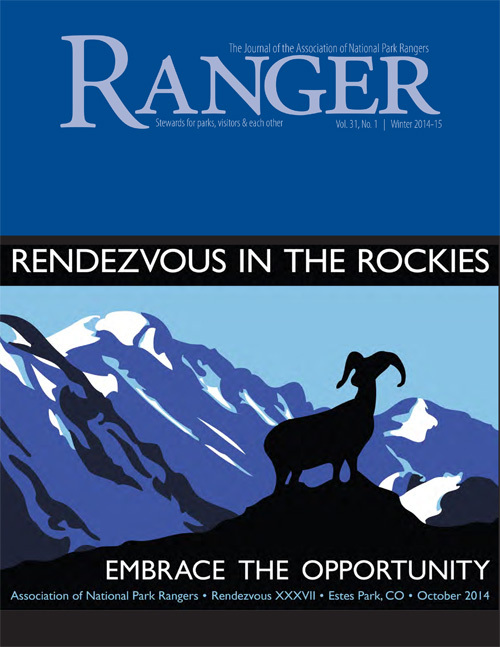 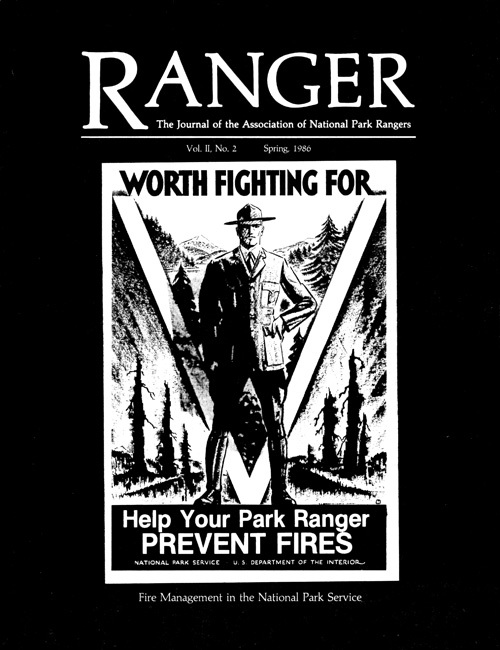 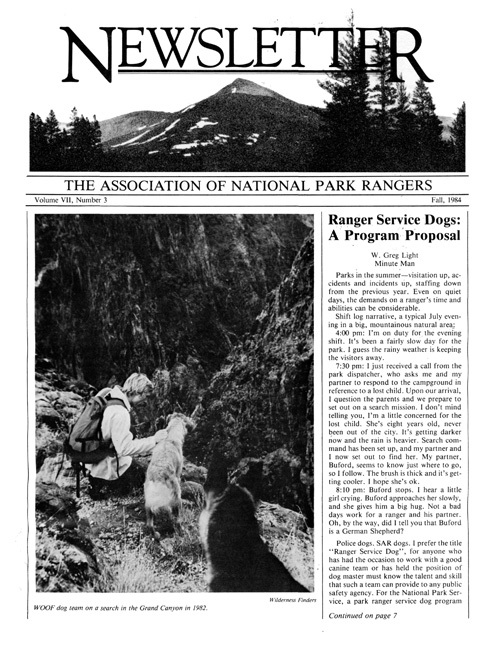 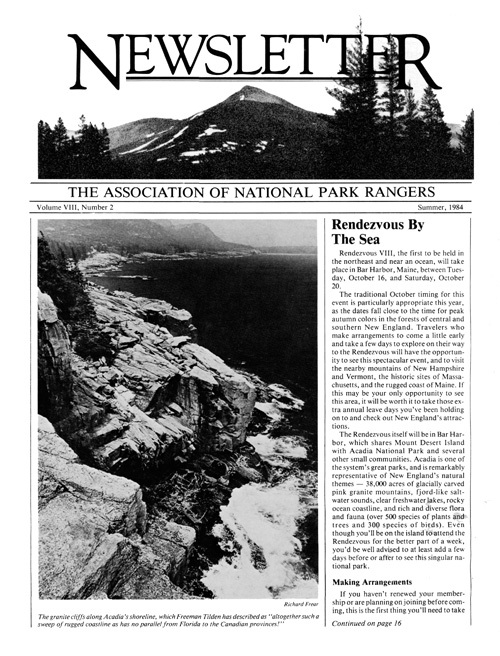 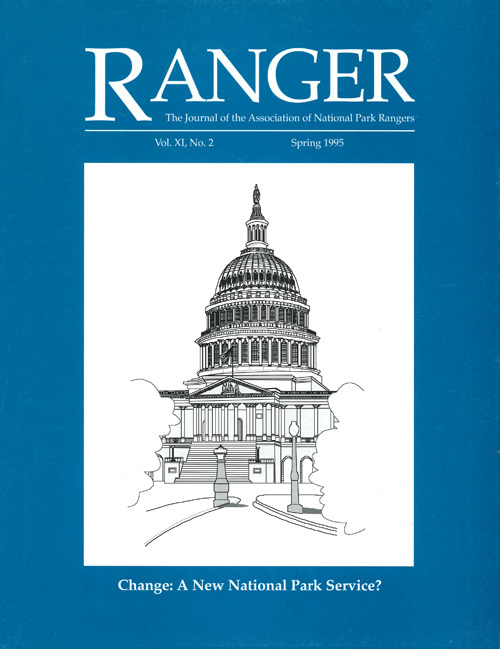 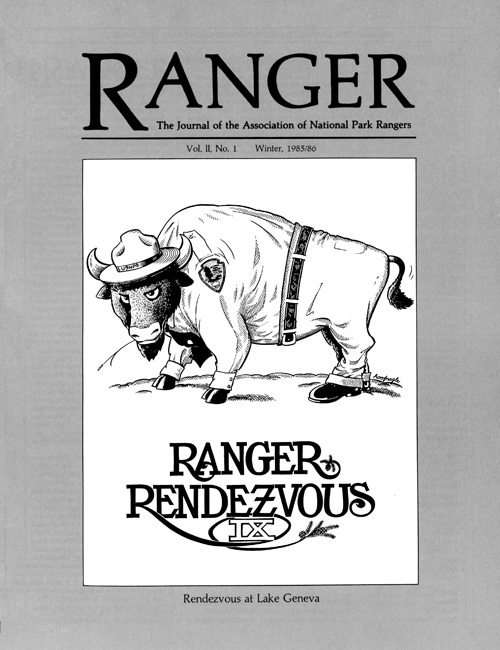 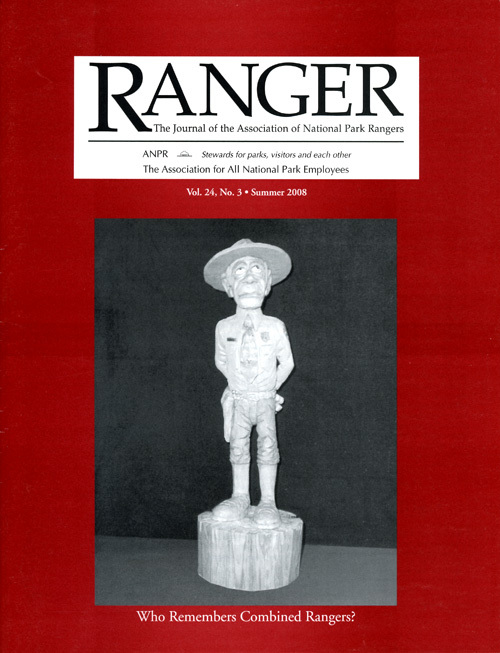 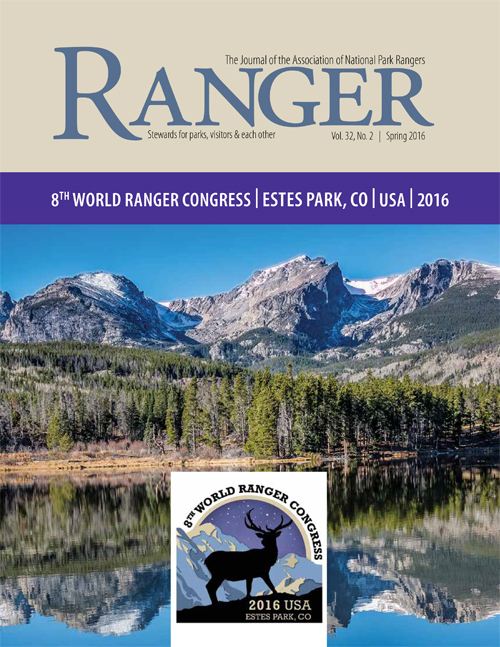 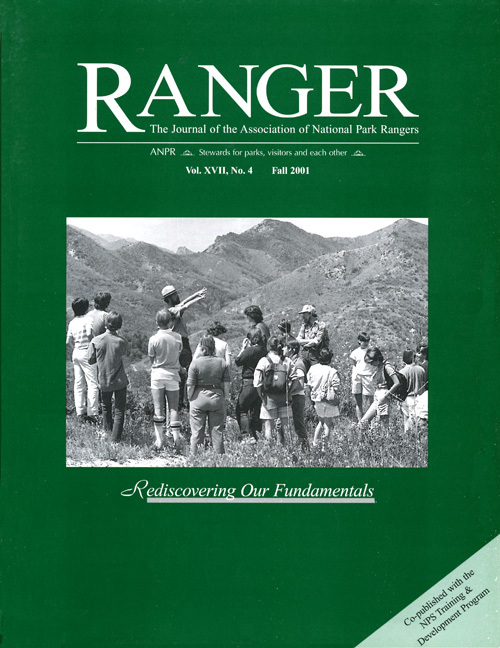 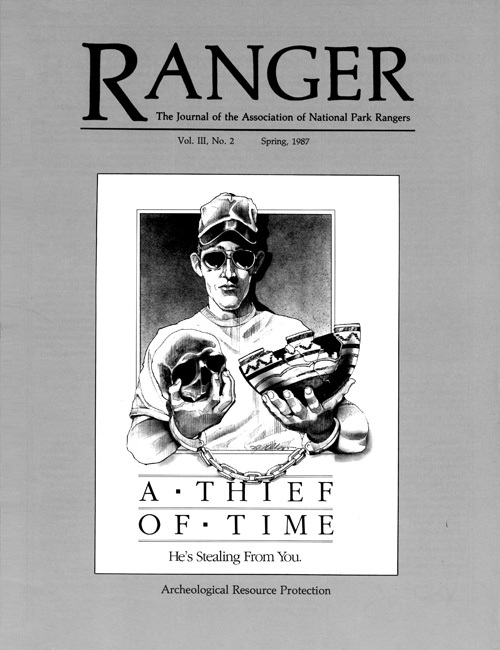 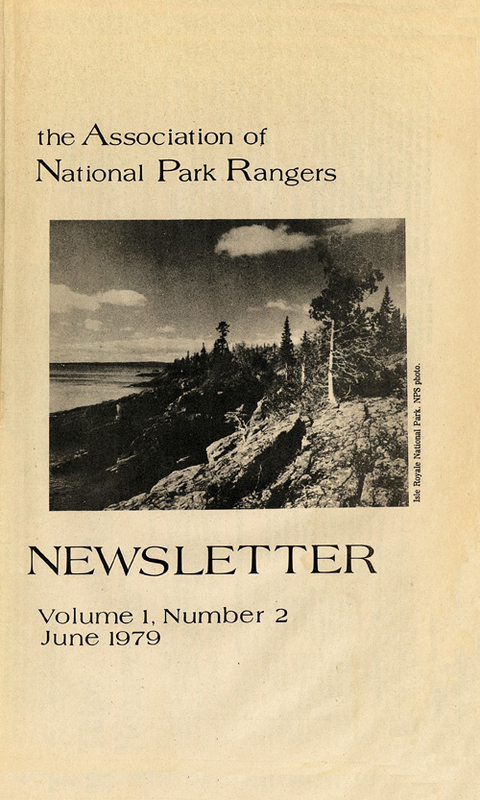 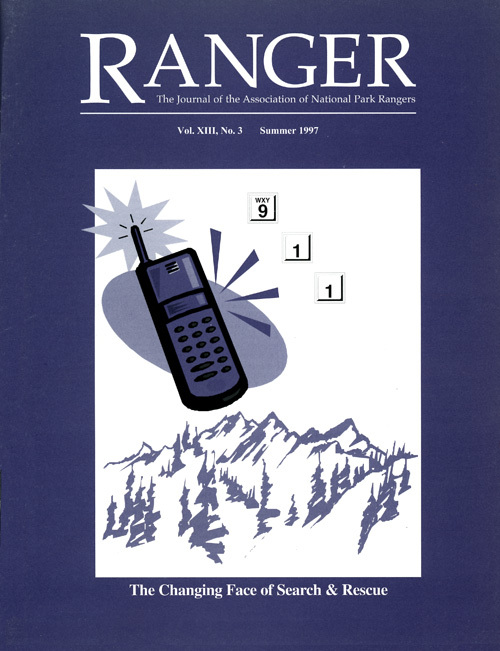 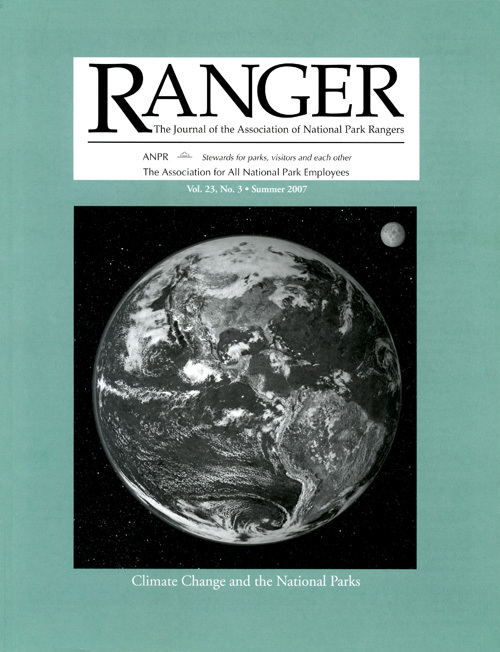 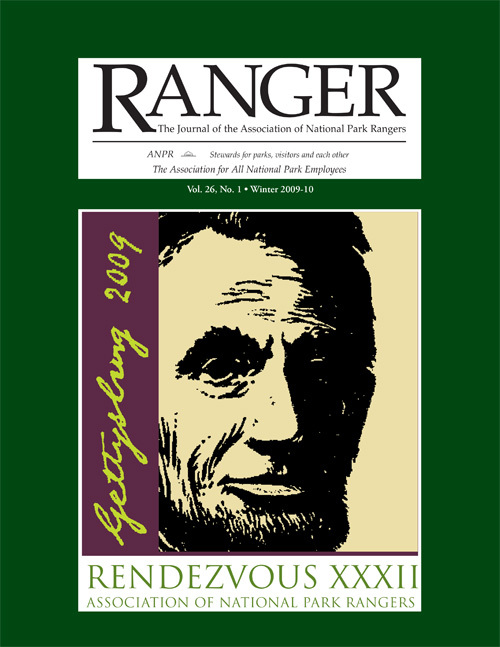 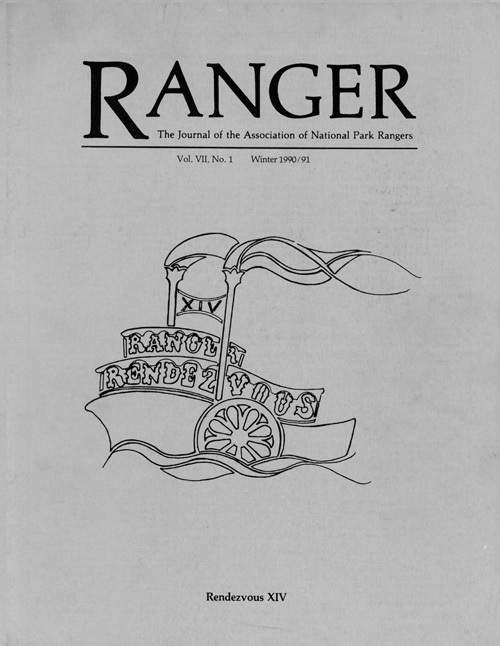 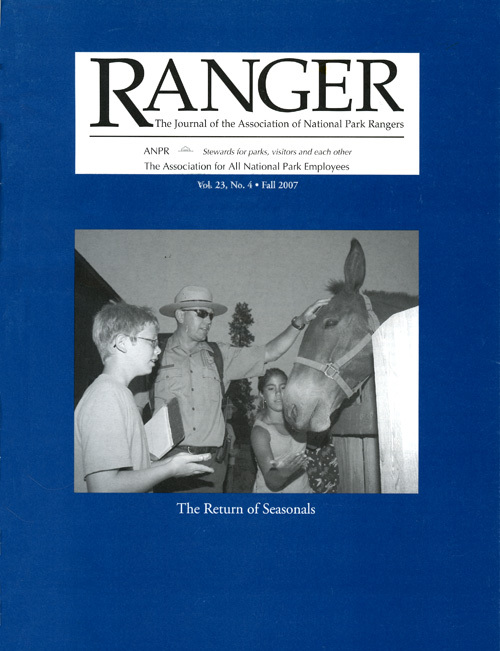 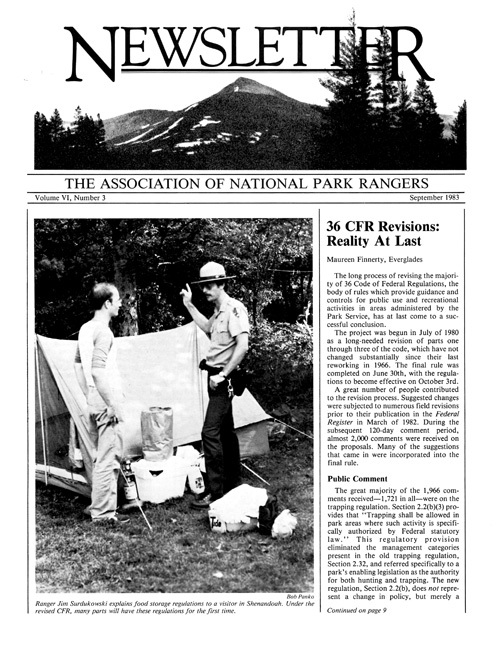 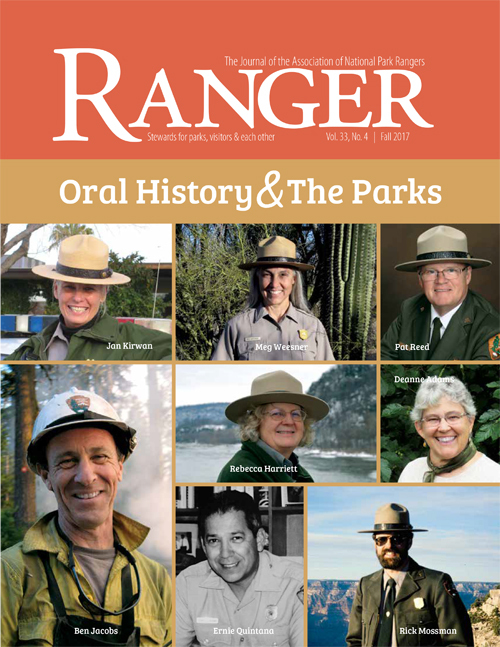 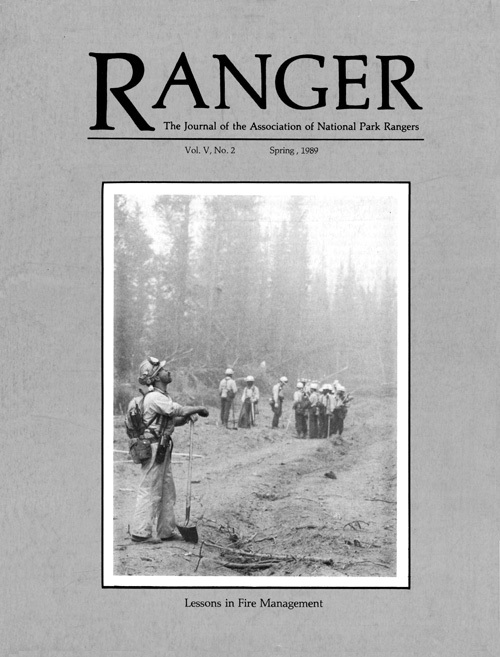 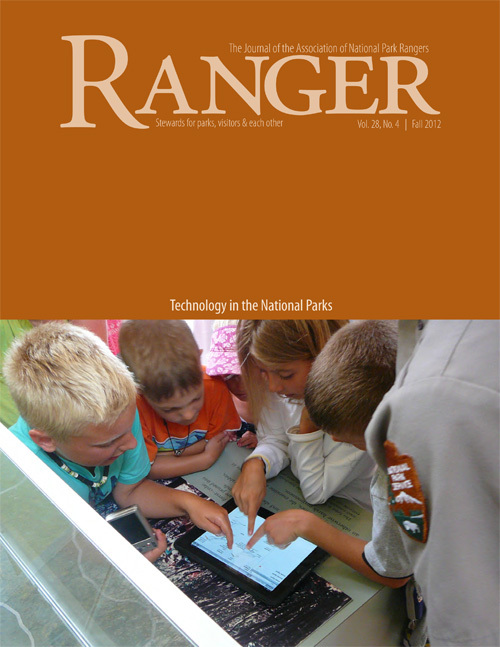 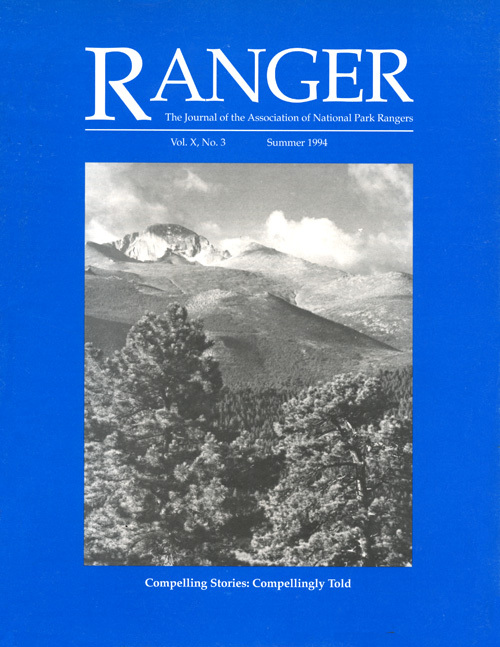 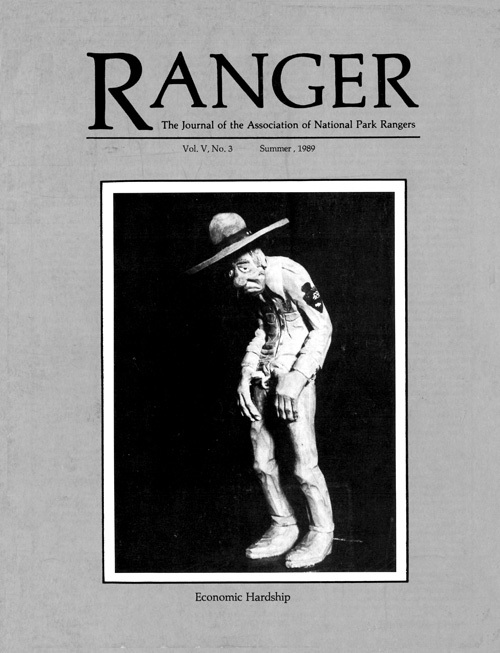 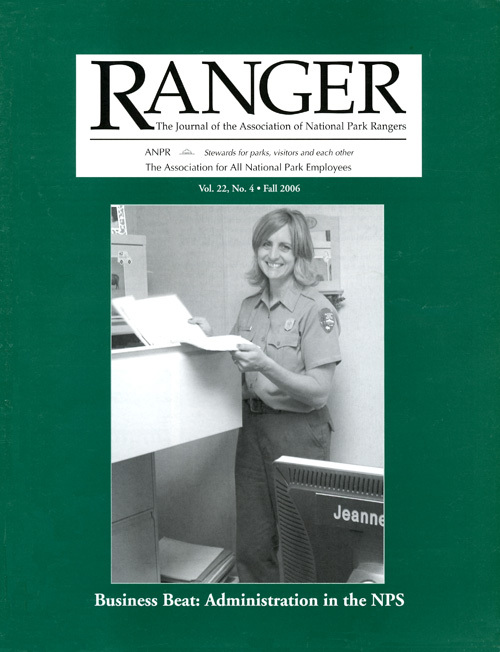 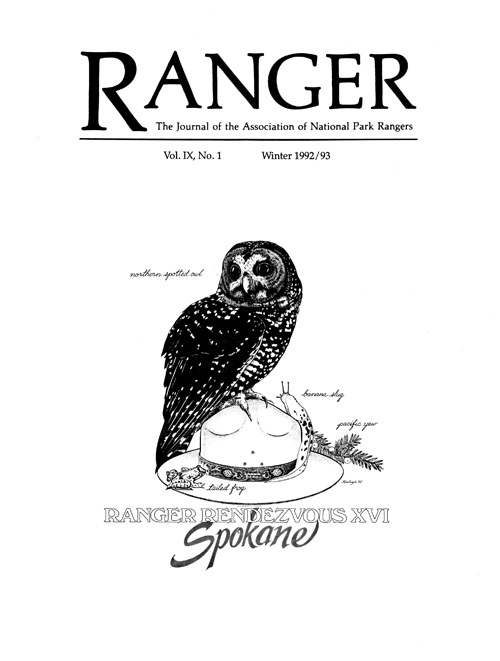 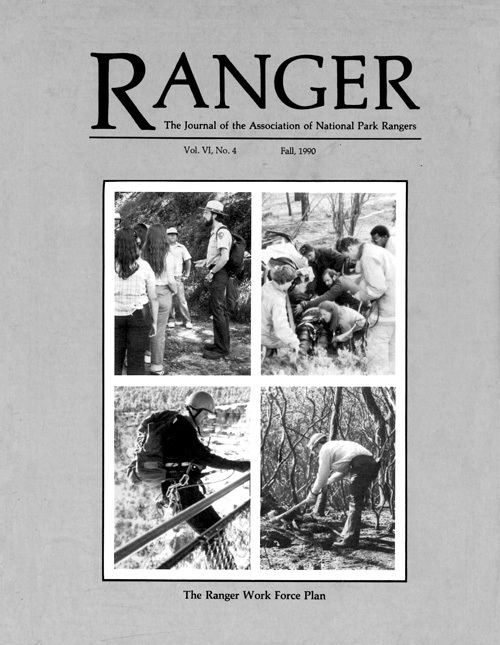 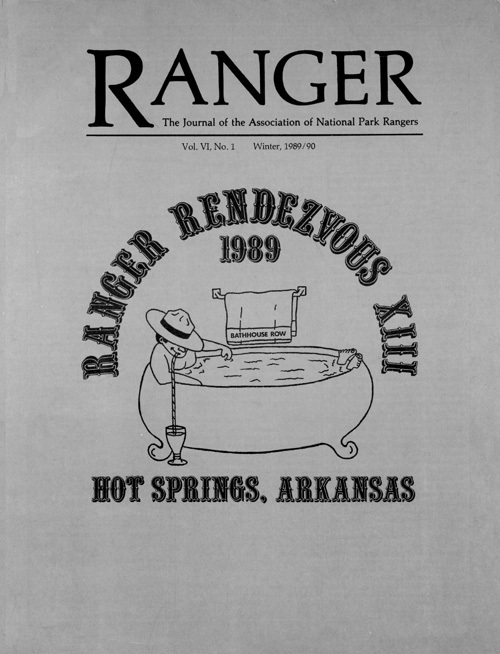 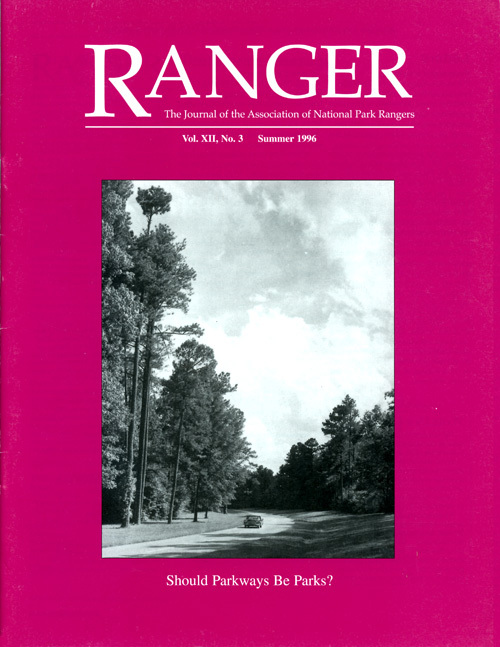 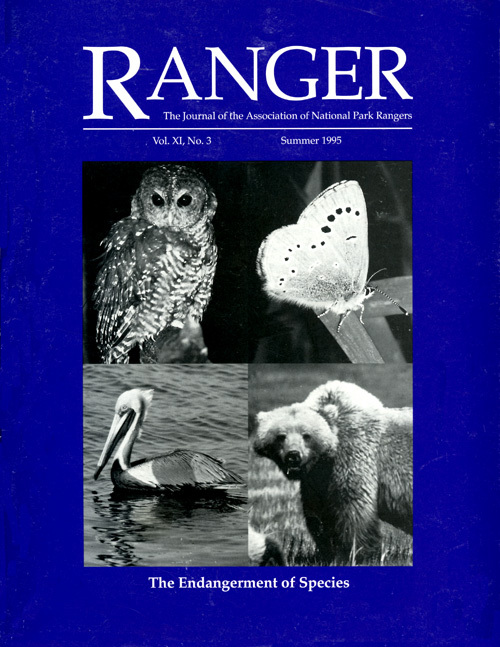 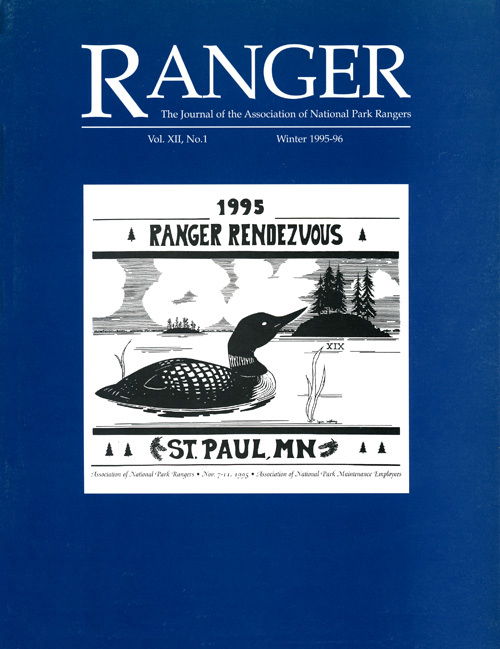 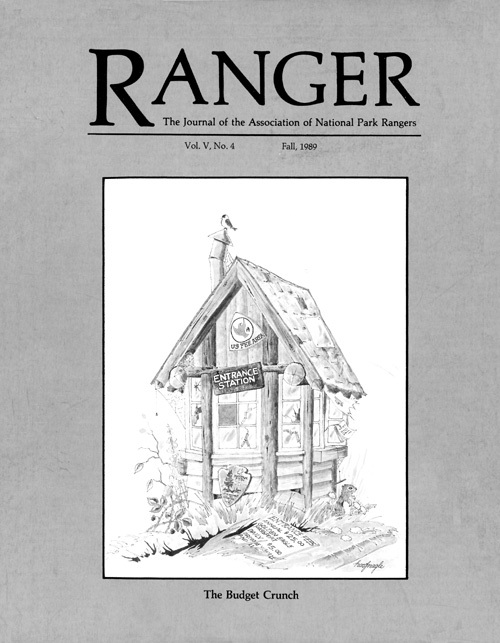 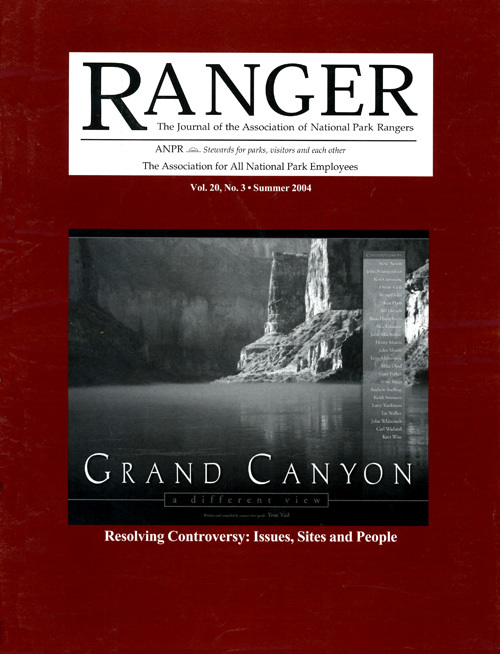 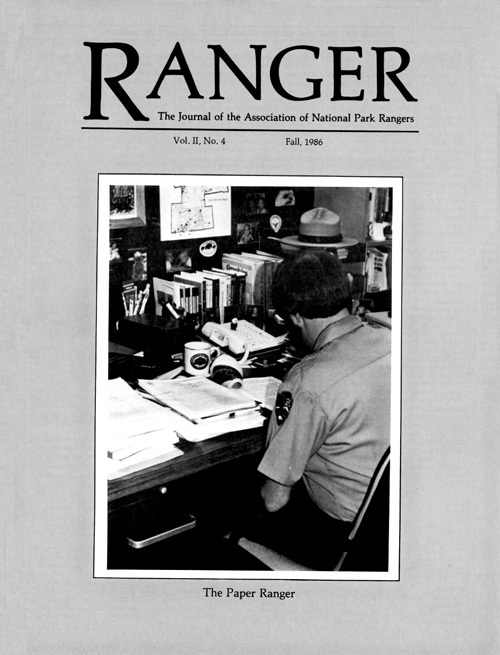 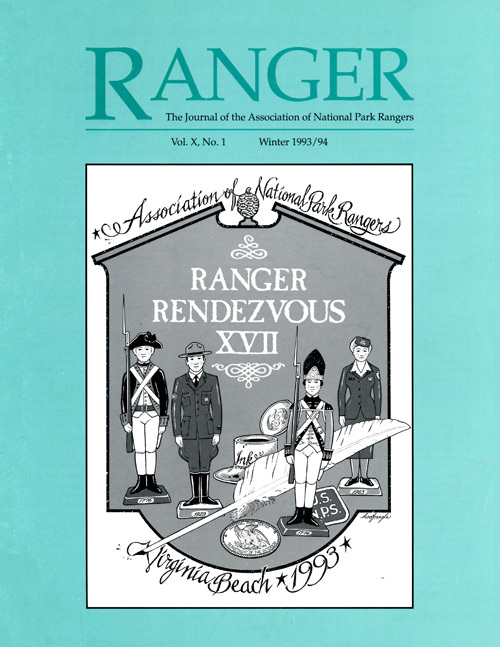 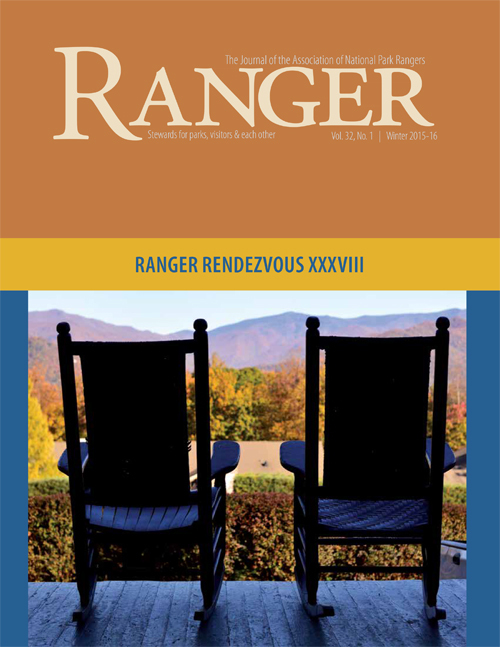 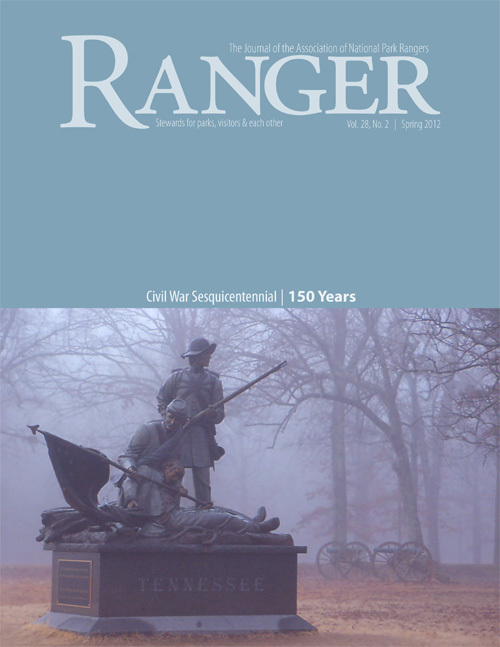 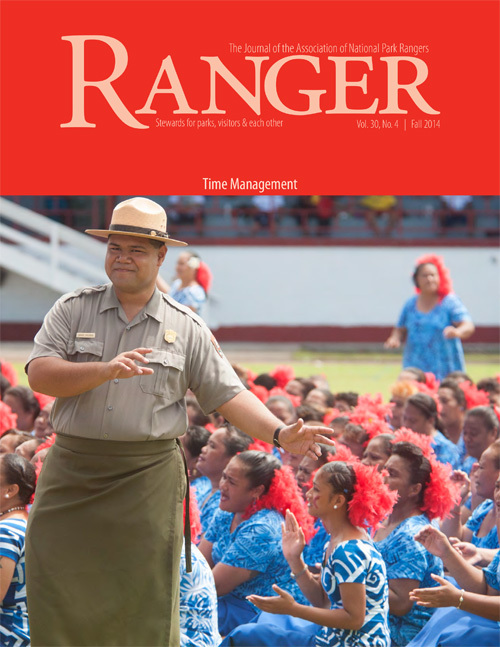 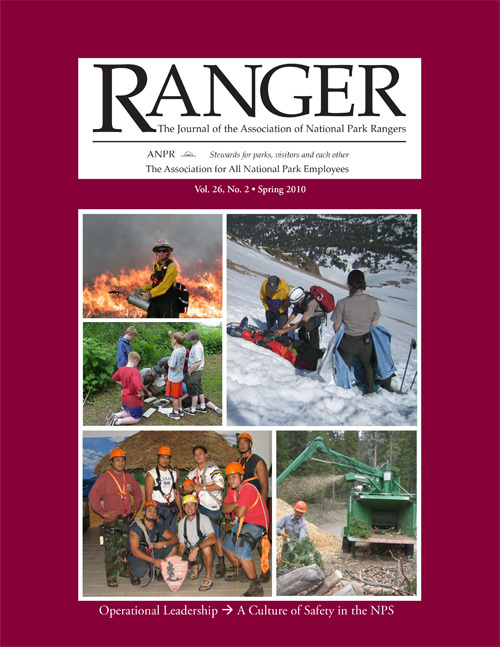 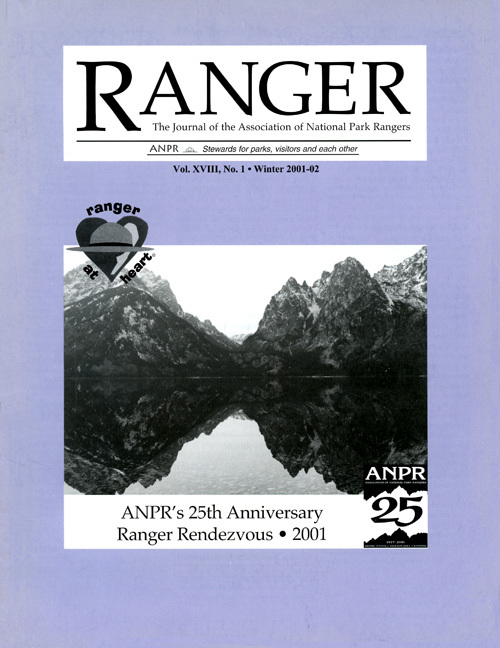 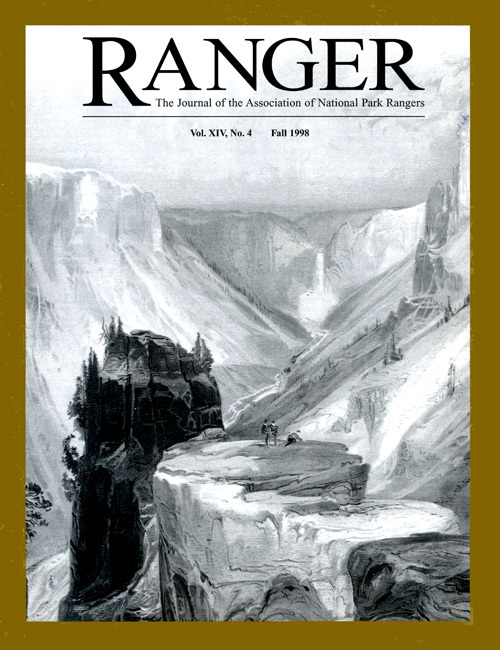 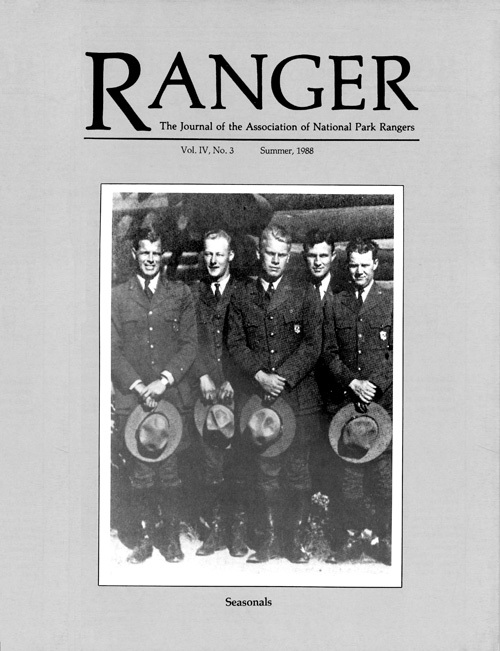 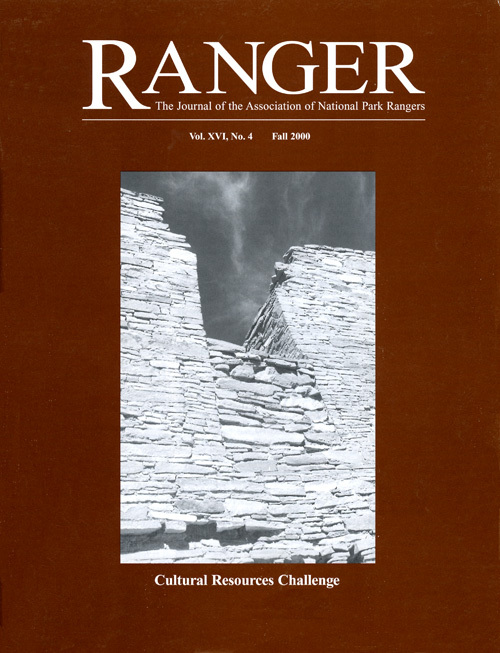 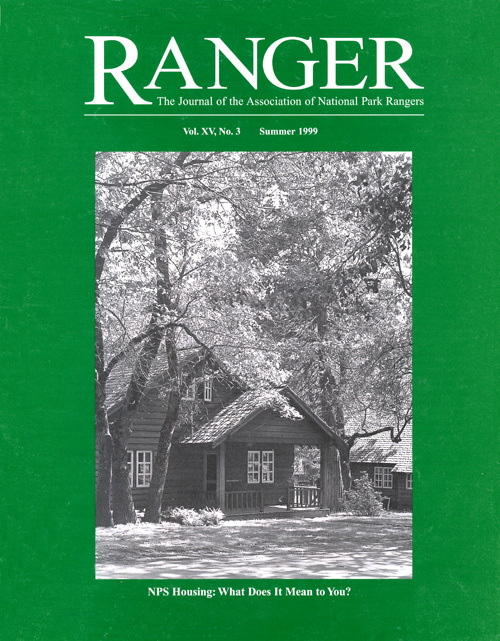 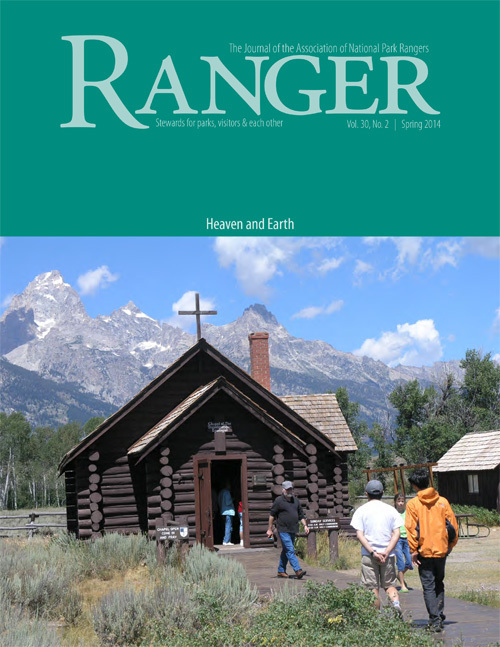 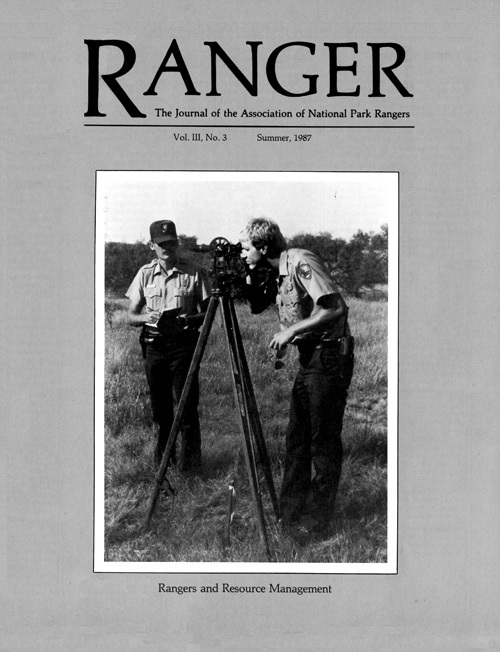 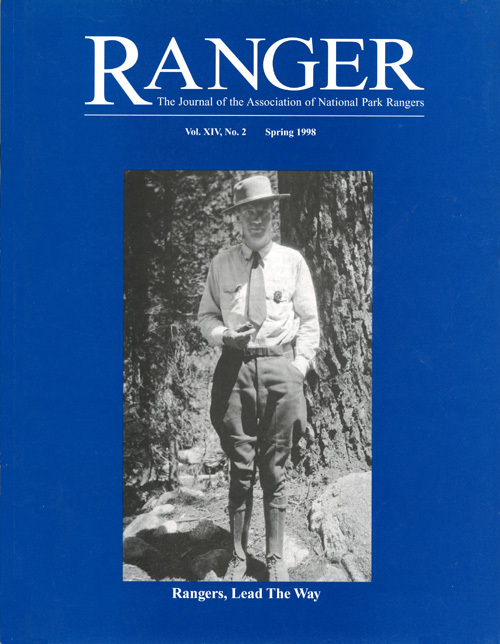 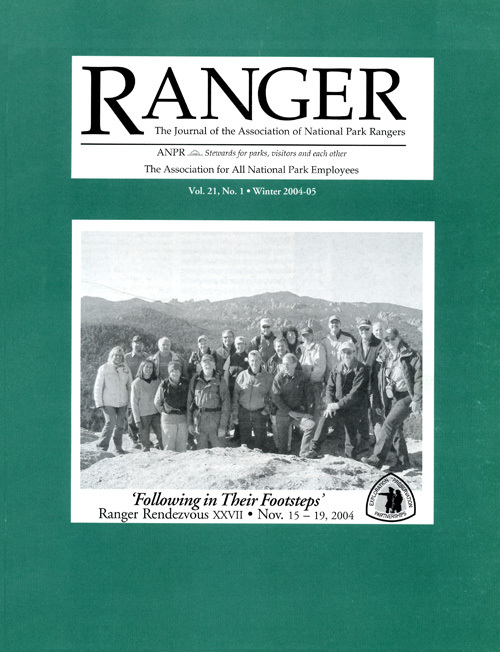 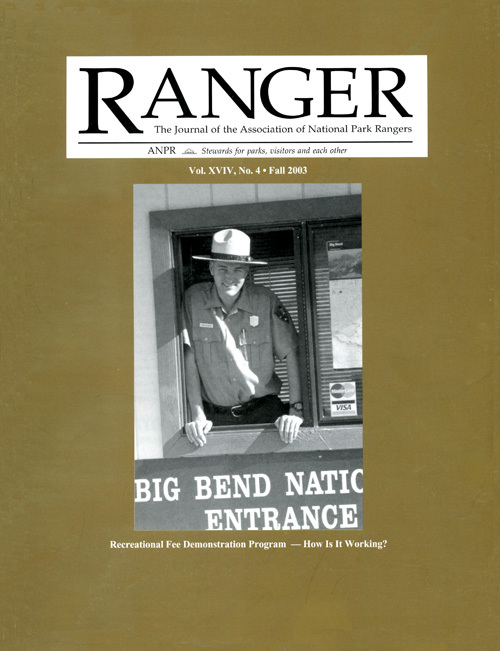 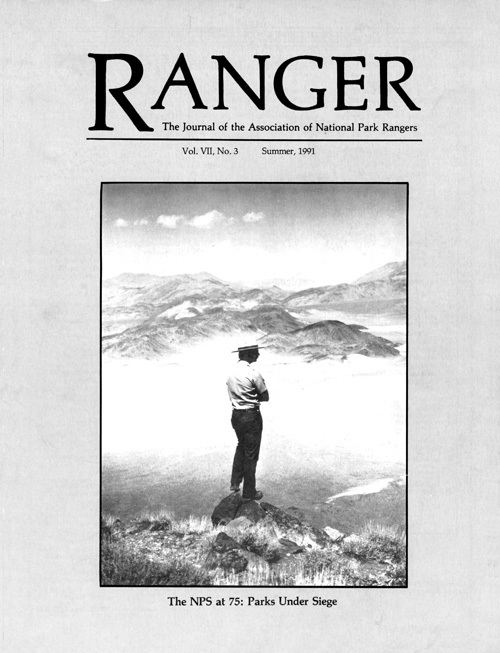 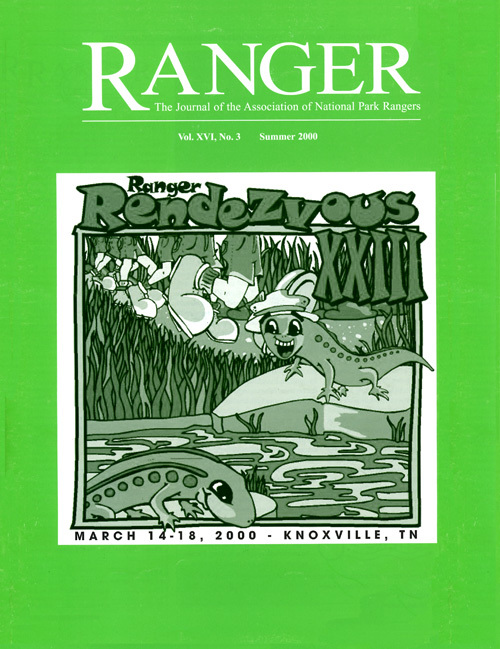 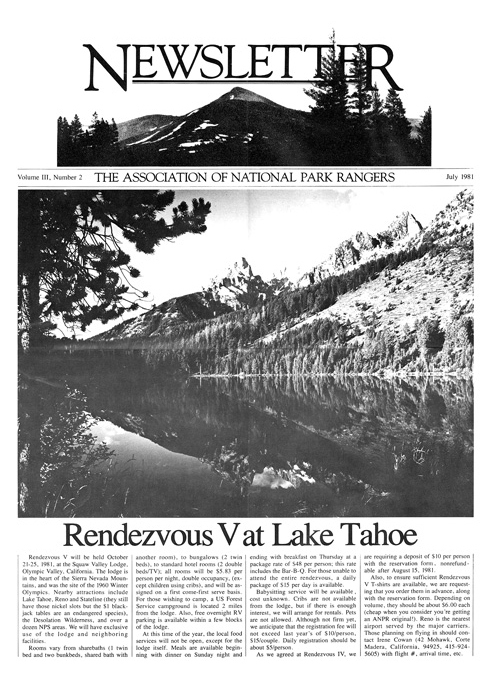 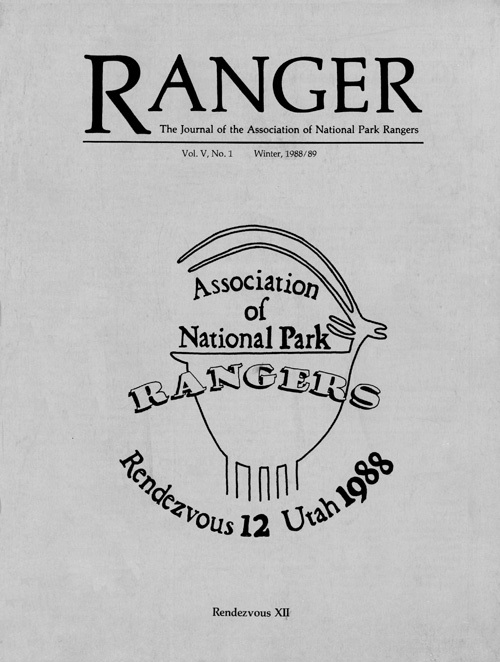 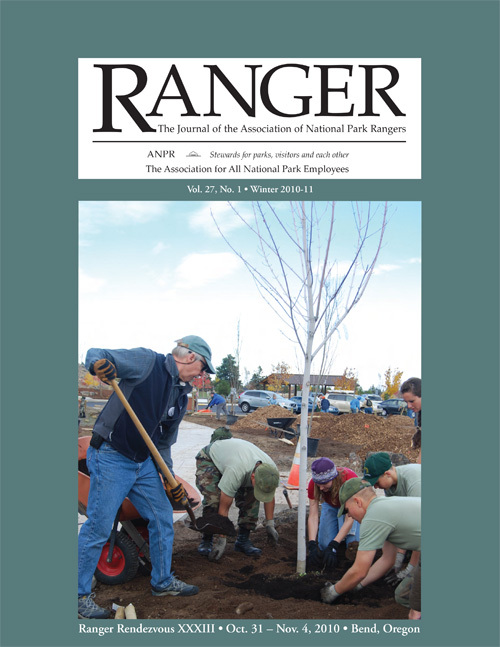 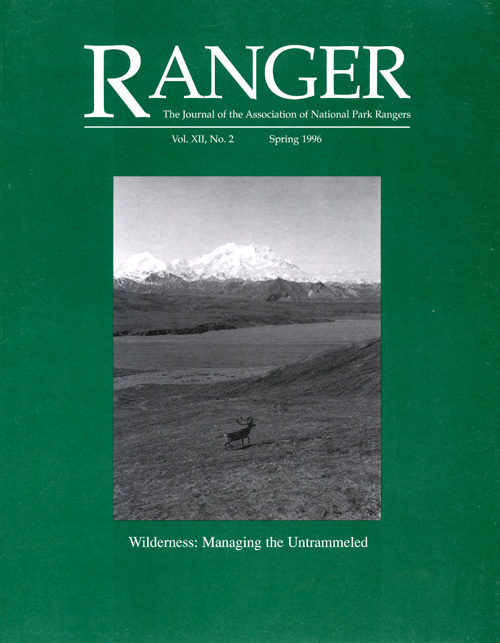 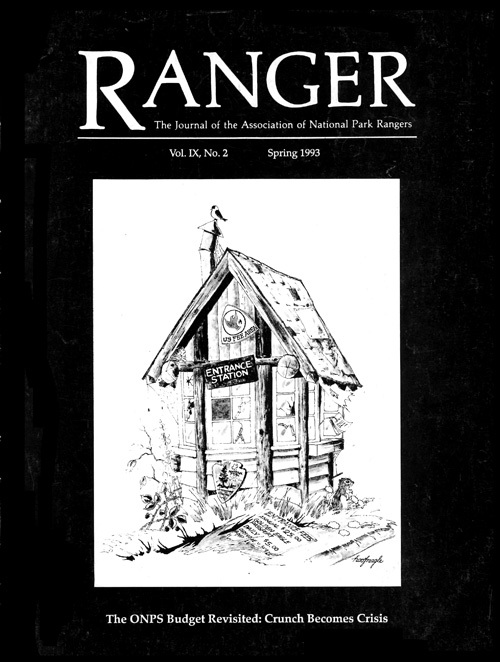 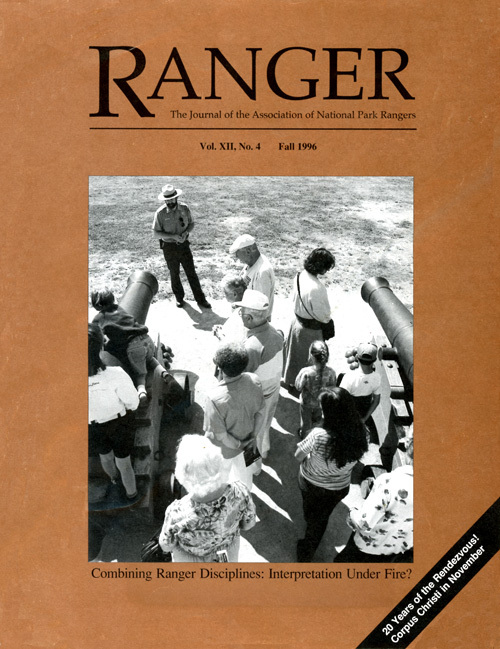 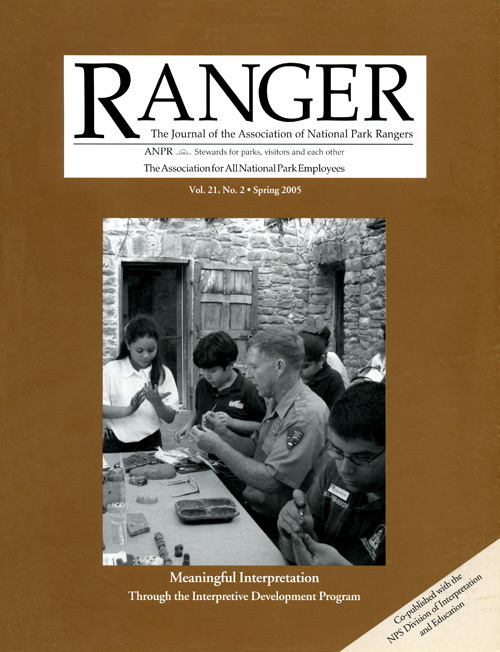 In 1982, Bill Halainen became editor, and three years later converted the newsletter to a quarterly magazine, Ranger: The Journal of the Association of National Park Rangers, expanding it considerably in size. 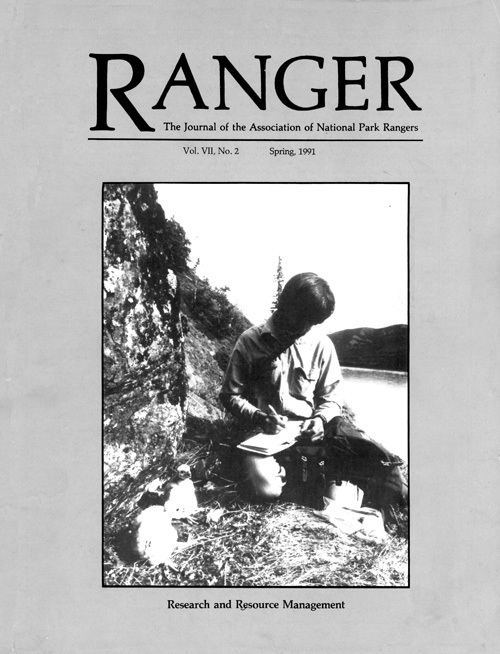 In April 1993, Teresa Ford assumed the duties of editor and continued the magazine for the next two decades. 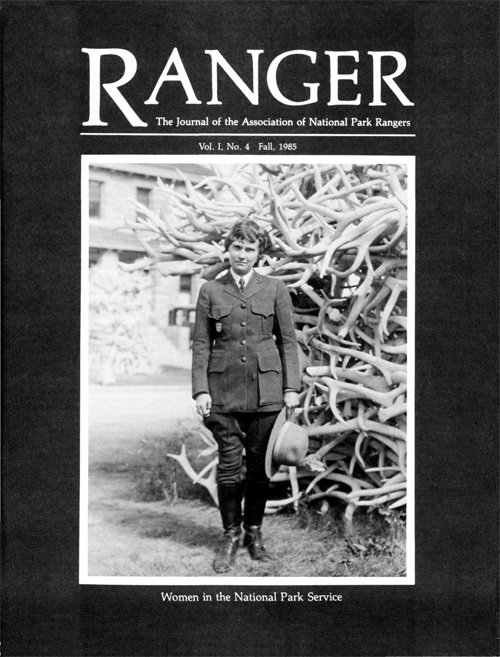 Among other improvements, she introduced color, which was increasingly utilized over ensuing years. 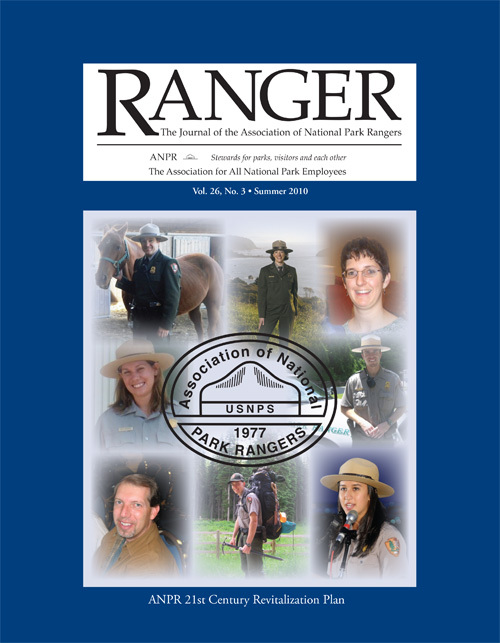 Over the course of the better part of five decades, more than 140 editions of the newsletter and magazine have been published and disseminated to members throughout the agency and to friends and colleagues in other organizations across the nation and overseas. 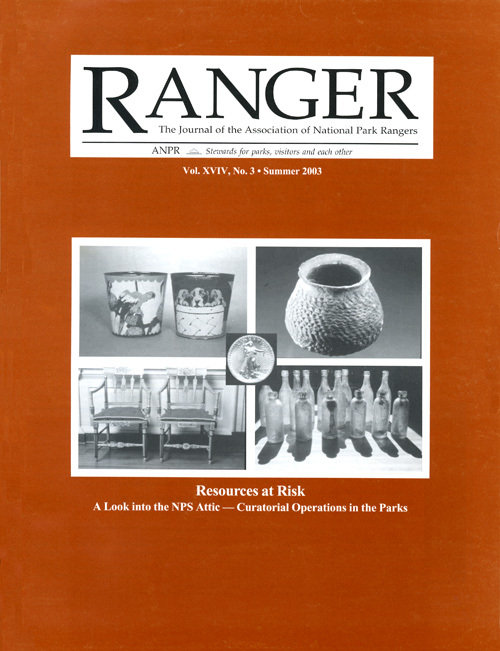 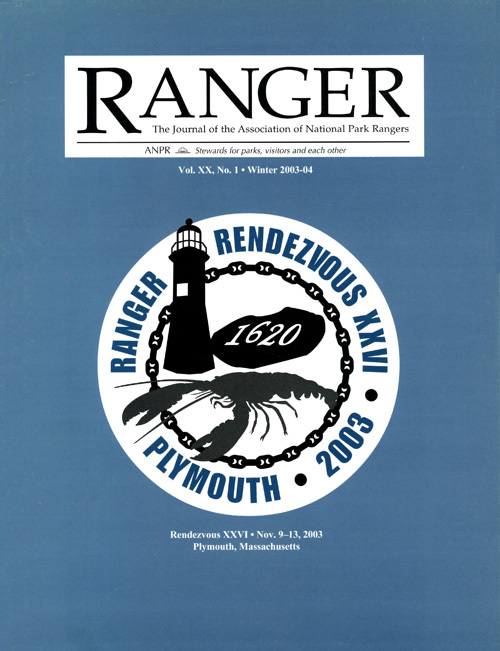 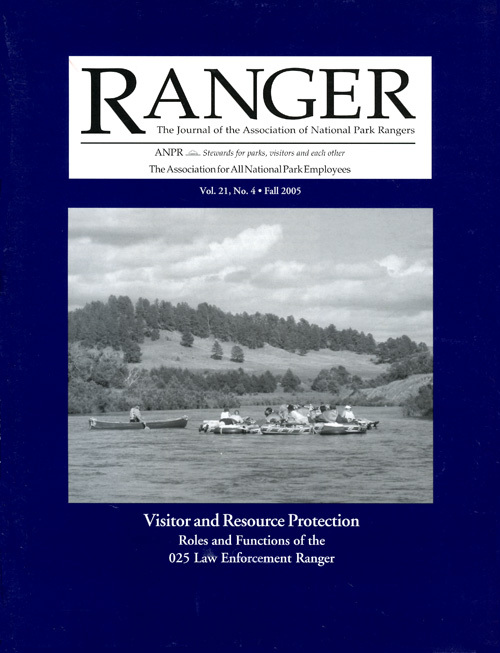 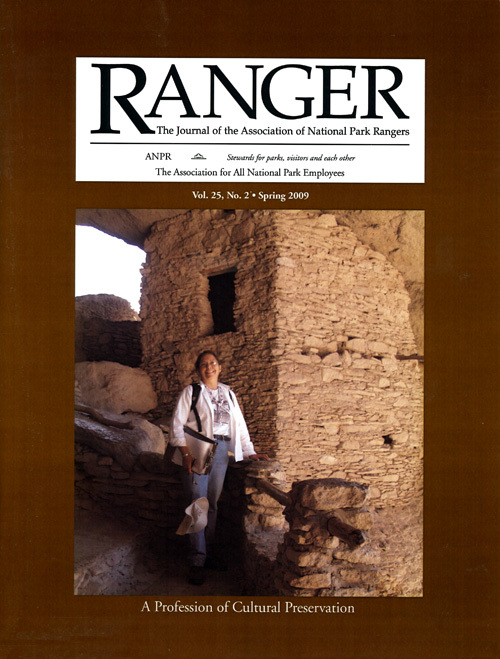 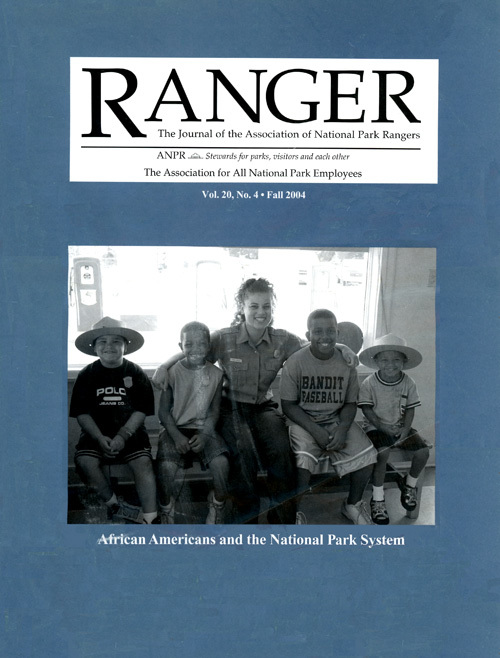 Because these publications contain such a breadth of detailed information about all aspects of both the Association and the National Park Service, they provide an important historical asset for a period of almost 40 years  more than a third of the Service's existence and close to all of ANPR's lifetime. 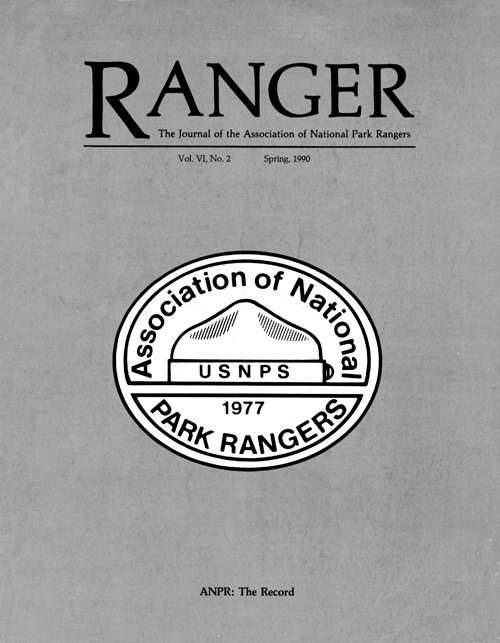 Now, just in time for the Service's centennial, all these publications are available to members of the Association, NPS employees and the public as all past issues have been converted to PDF files and posted on the web. 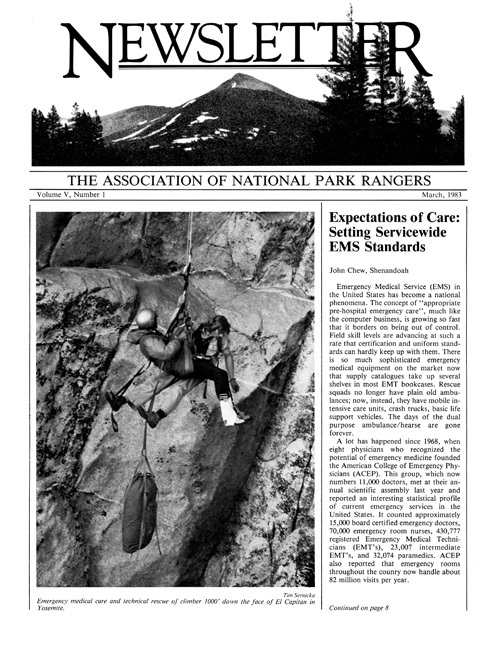 The issues appear below. 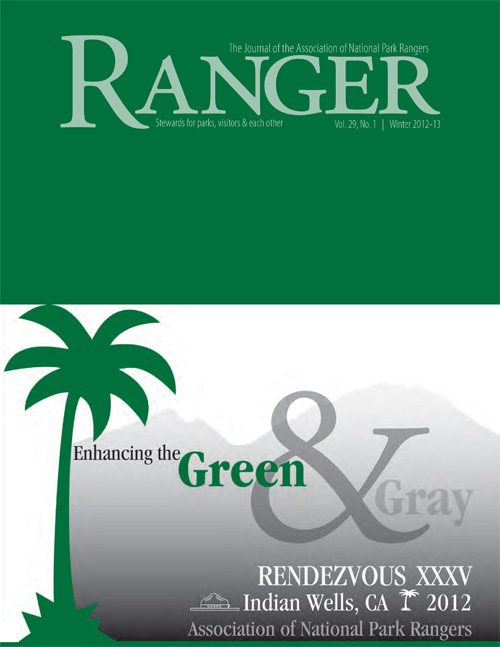 All you need to do is click on the cover to open and access the contents of a given edition. 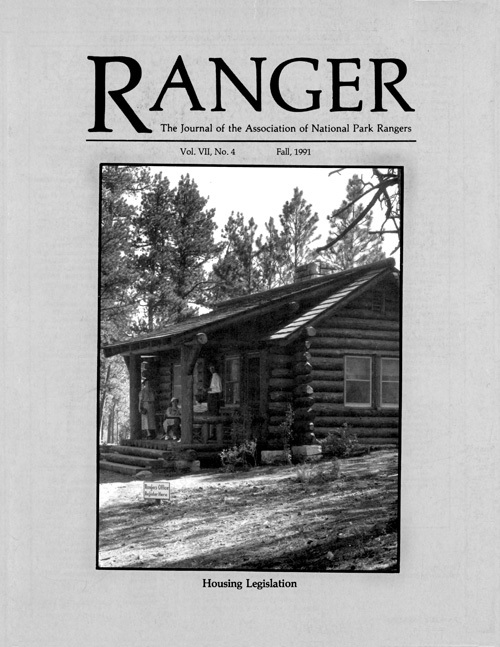 Take a minute to open up an edition or two and see what they have to offer. 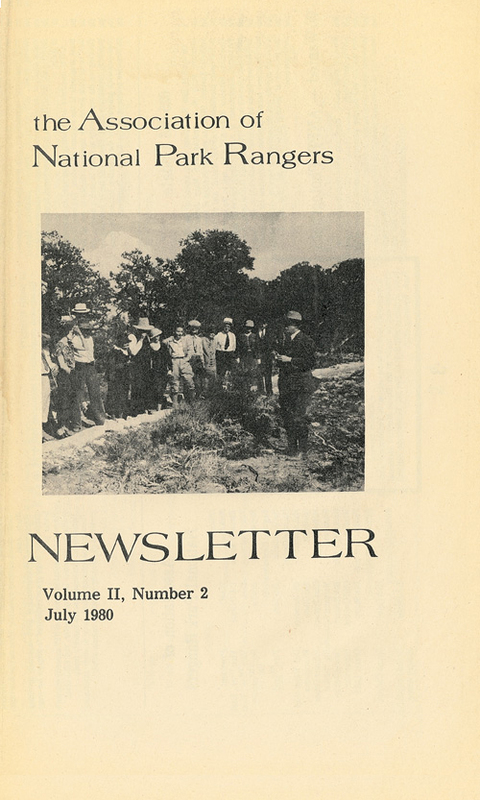 You'll find the stories and history fascinating and at times compelling and learn something about the evolution of your association and the National Park Service. 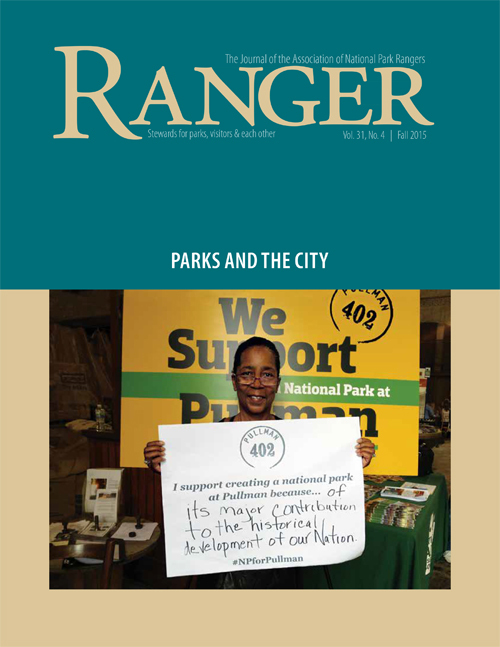 Change: A New National Park Service? 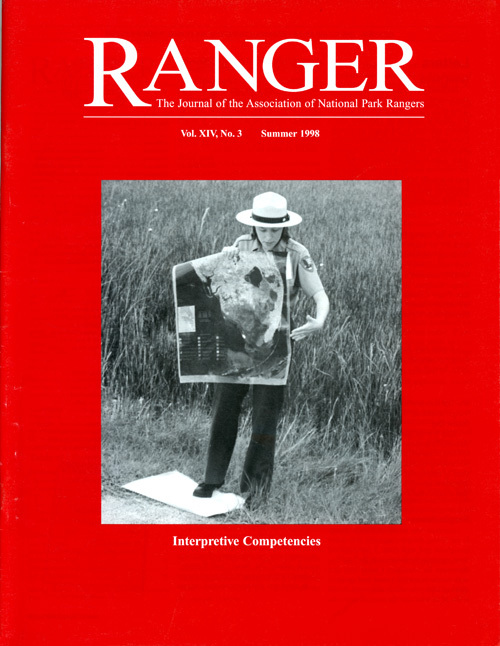 Combining Ranger Disciplines: Interpretation Under Fire? 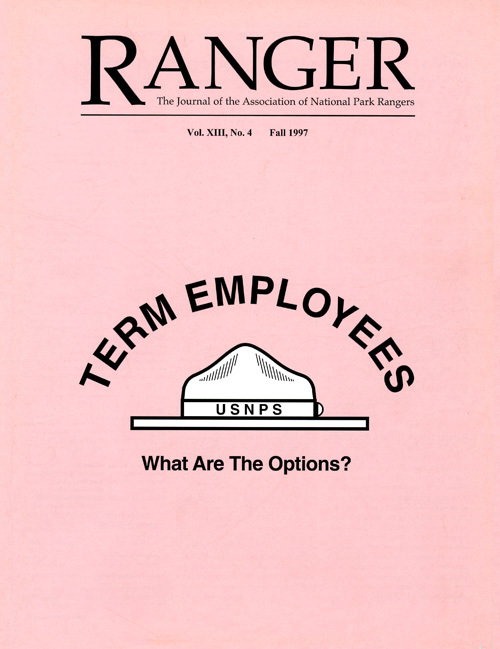 Term Employees: What Are The Options? 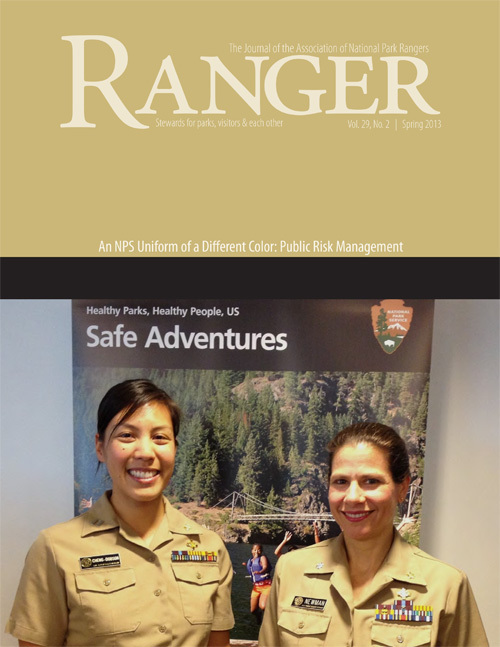 NPS Housing: What Does It Mean To You? 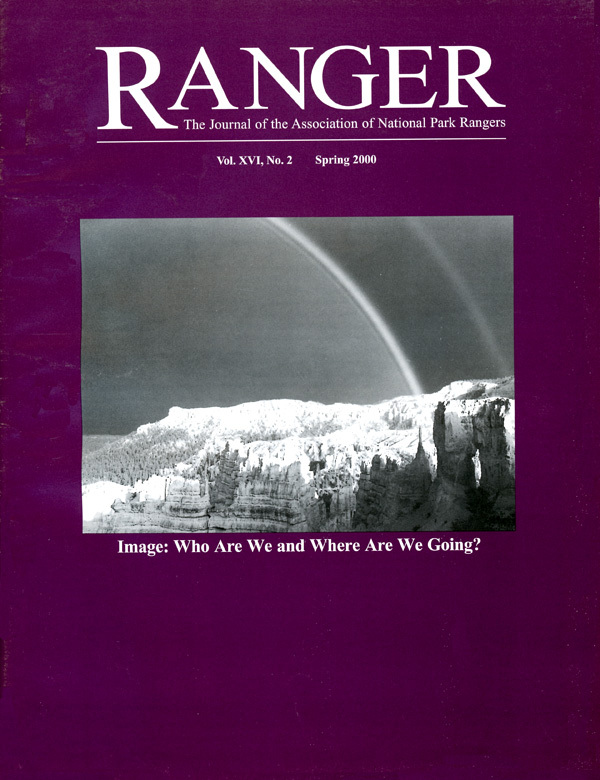 Image: Who Are We and Where Are We Going? 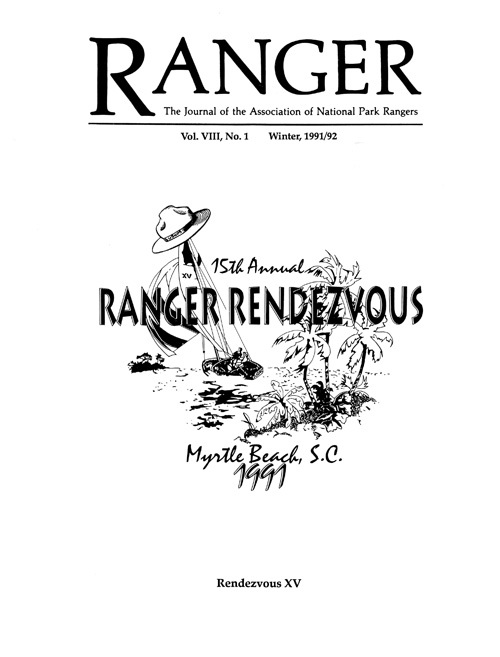 Recreational Fee Demonstration Program  How Is It Working? 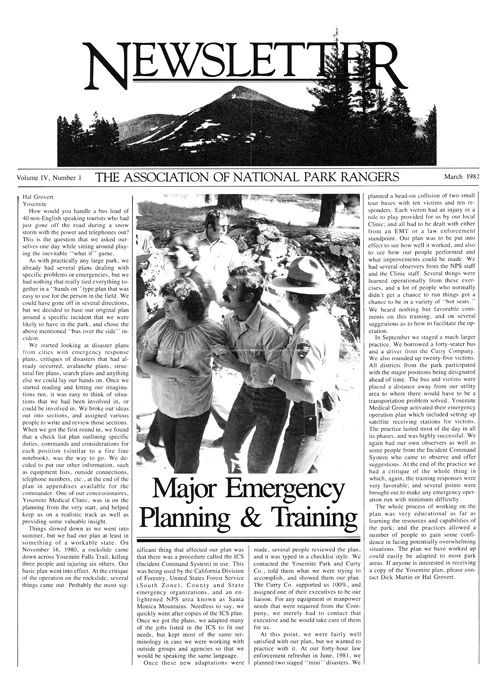 NPS Training: Sufficient or Deficient?